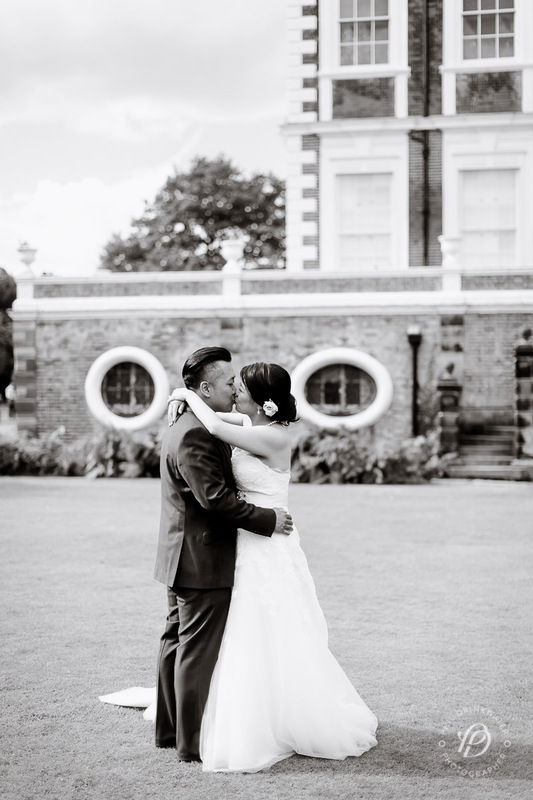 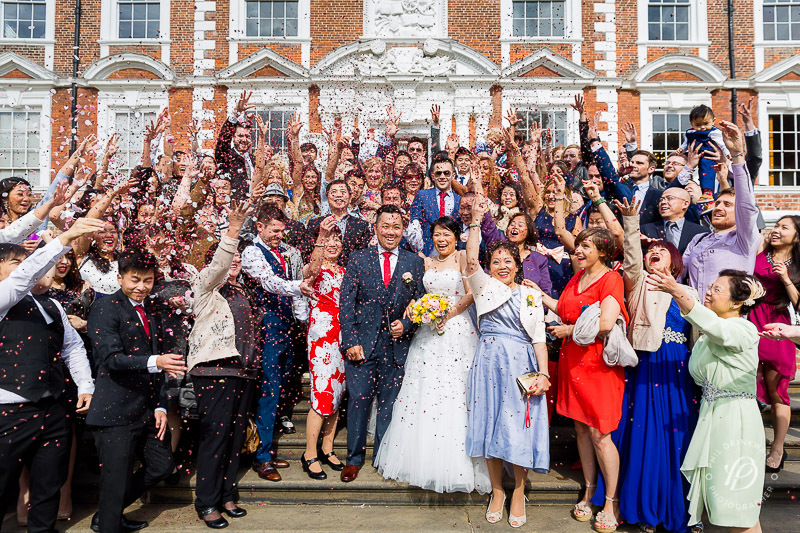 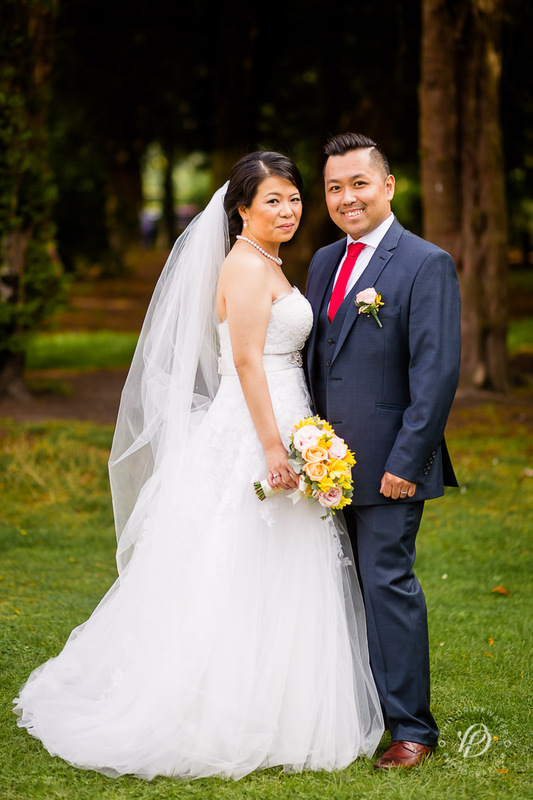 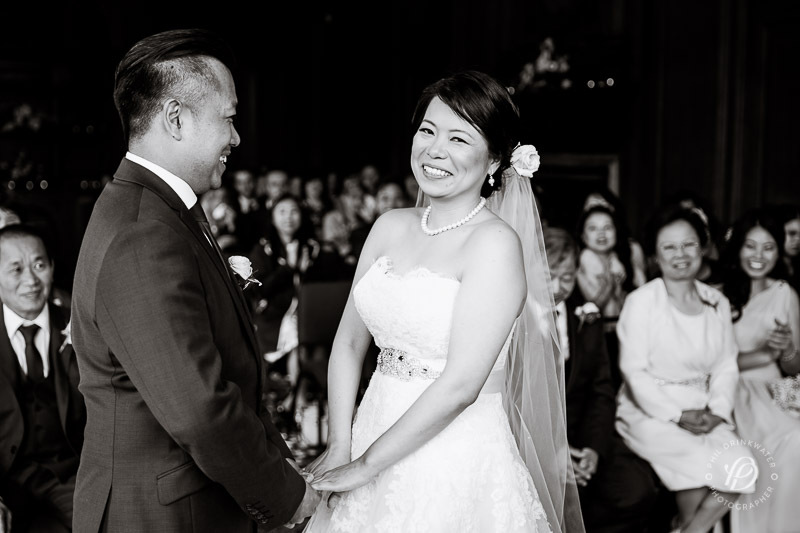 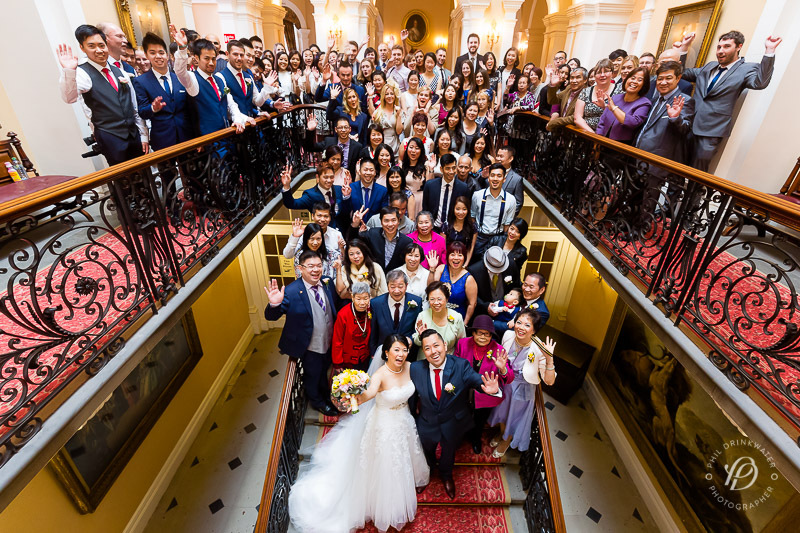 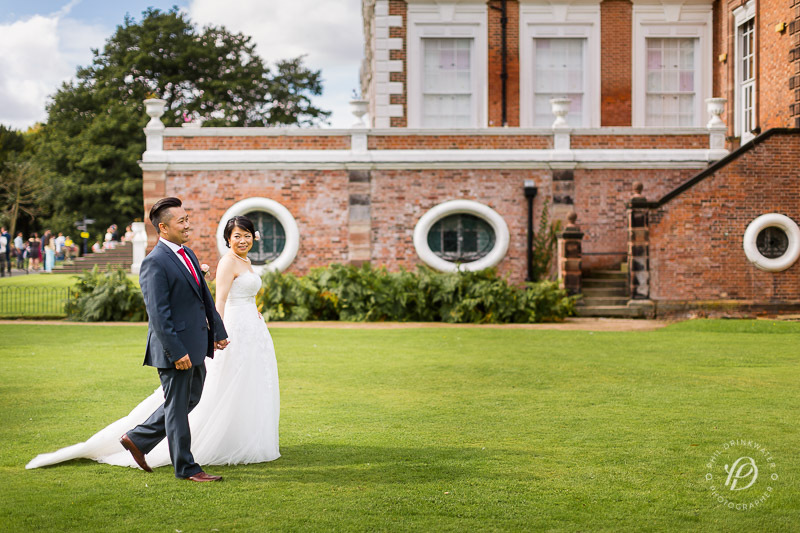 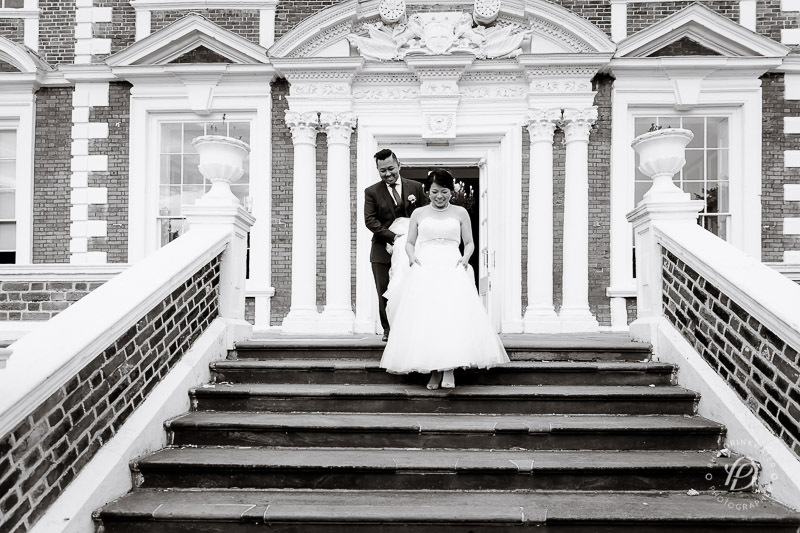 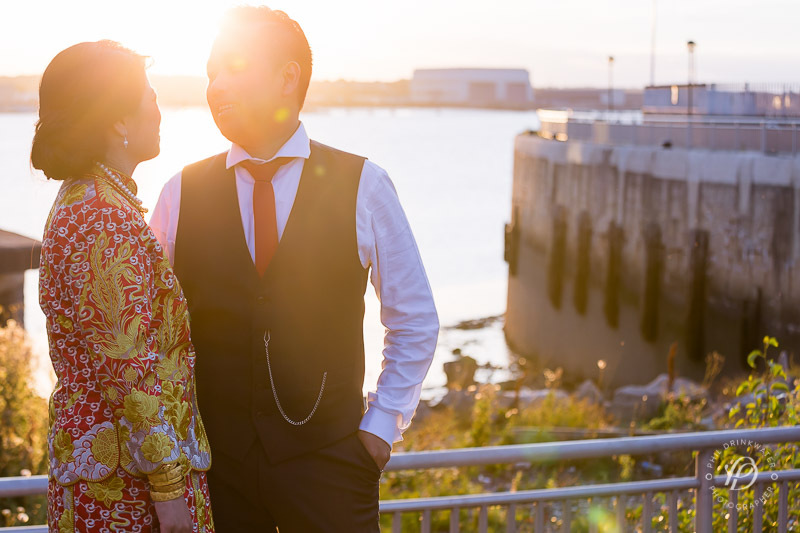 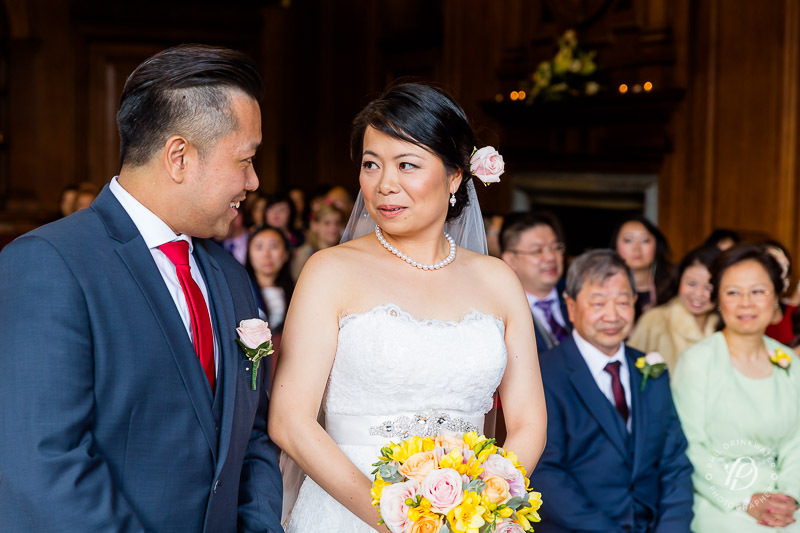 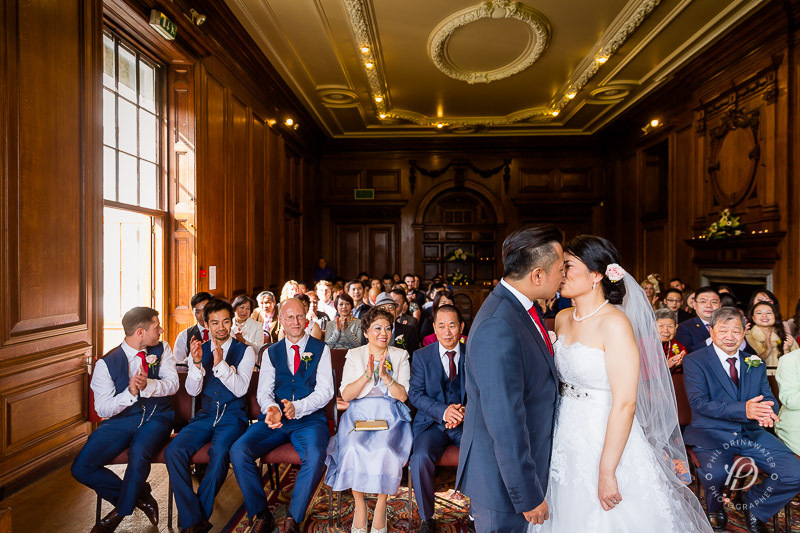 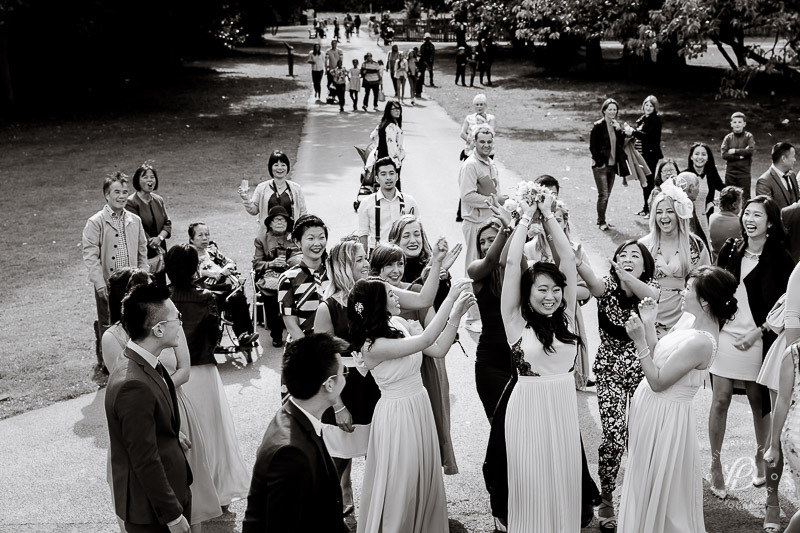 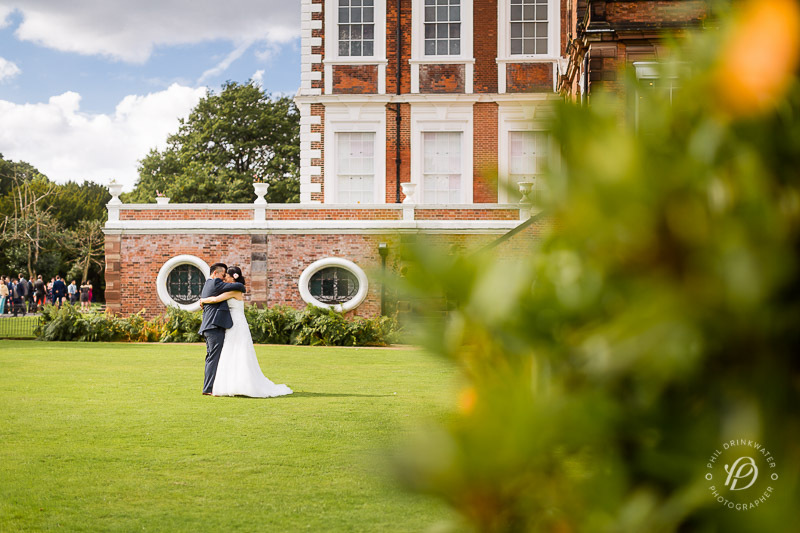 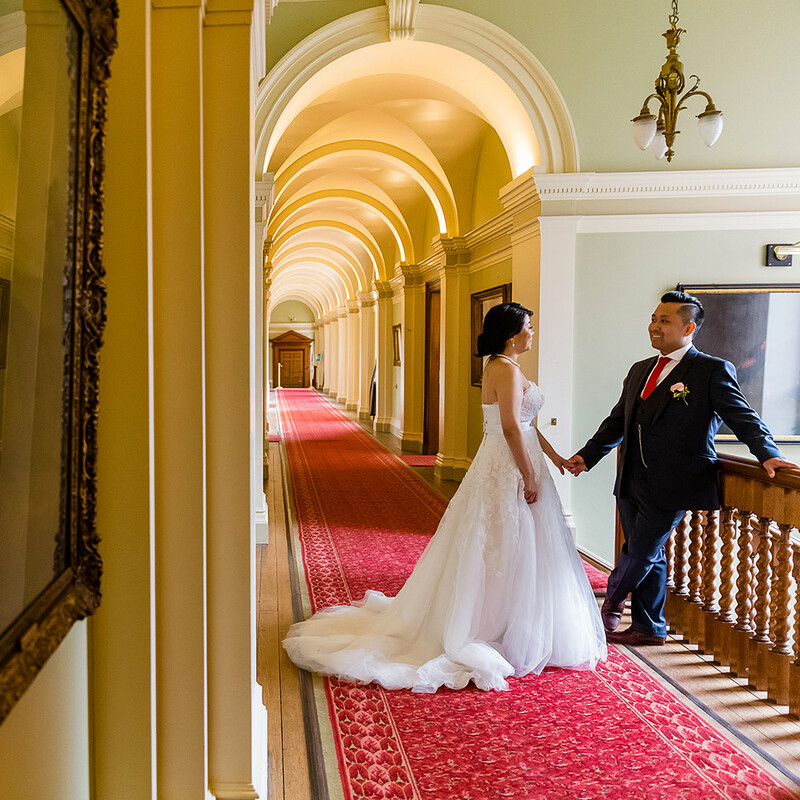 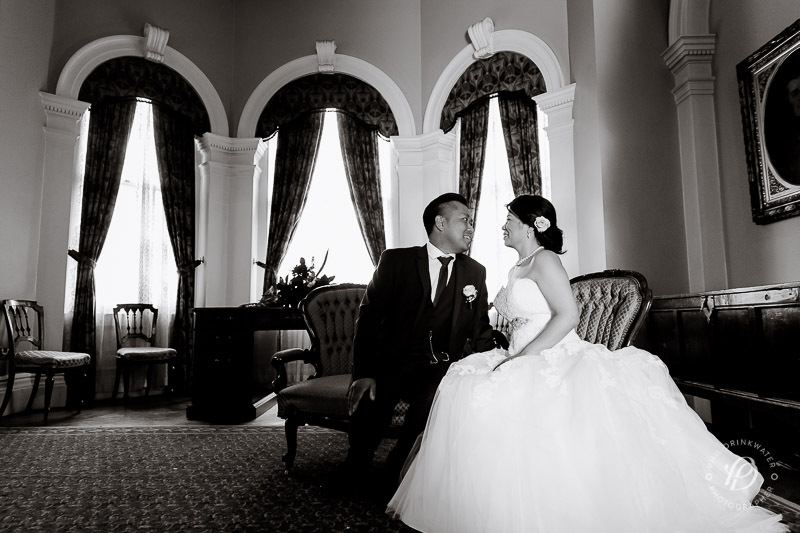 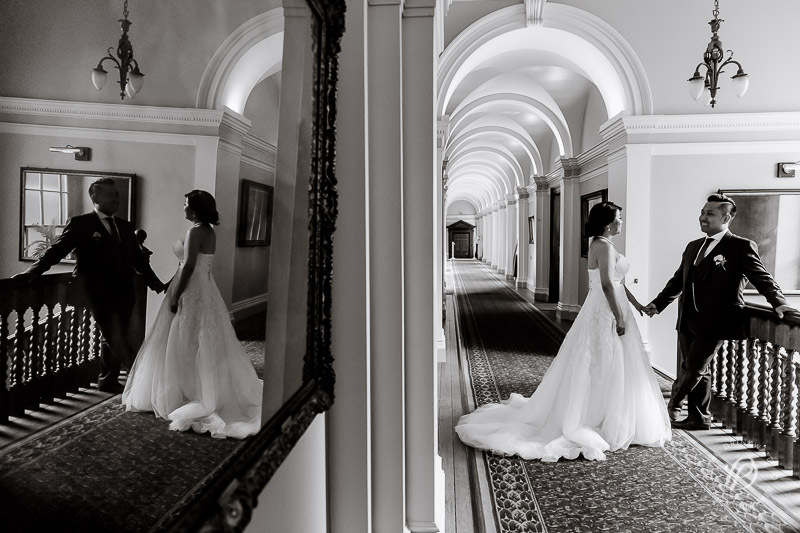 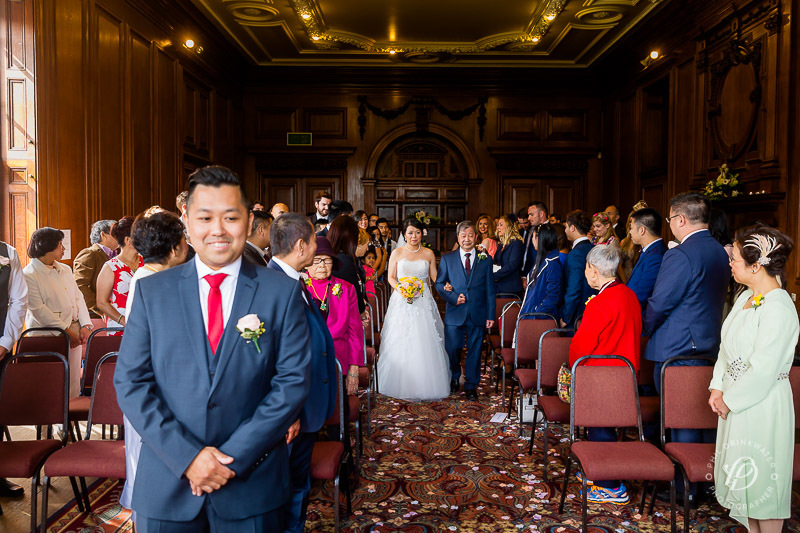 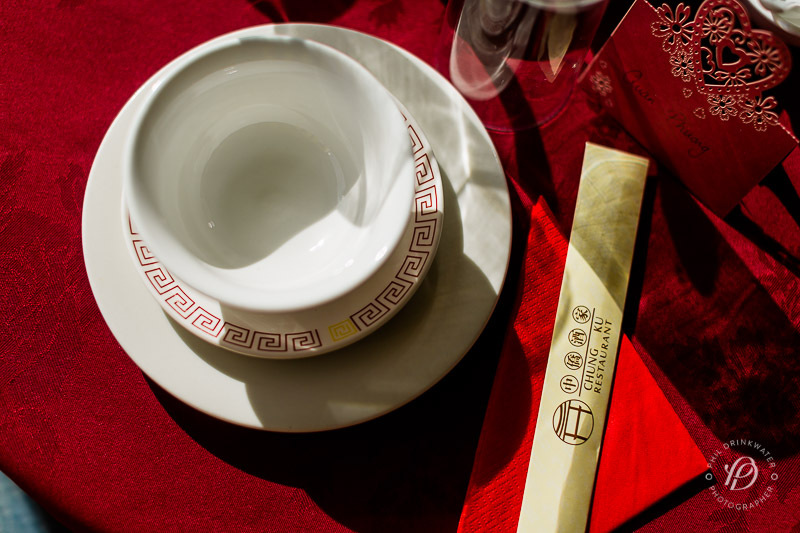 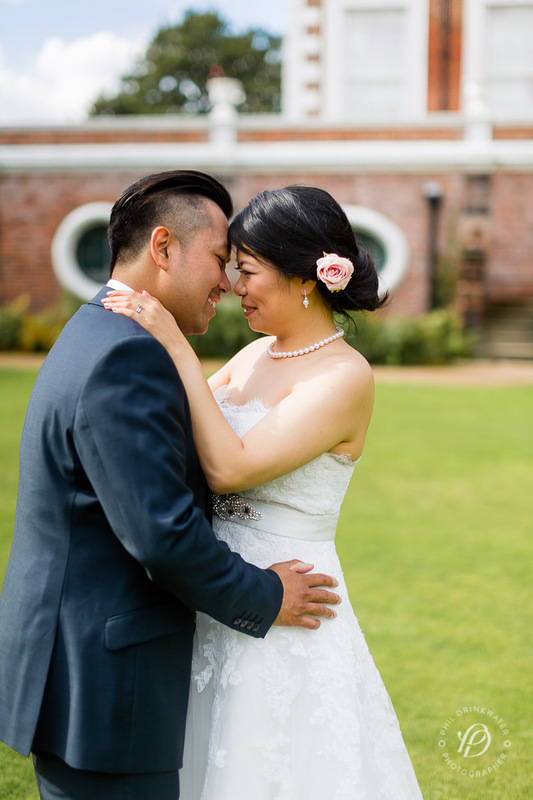 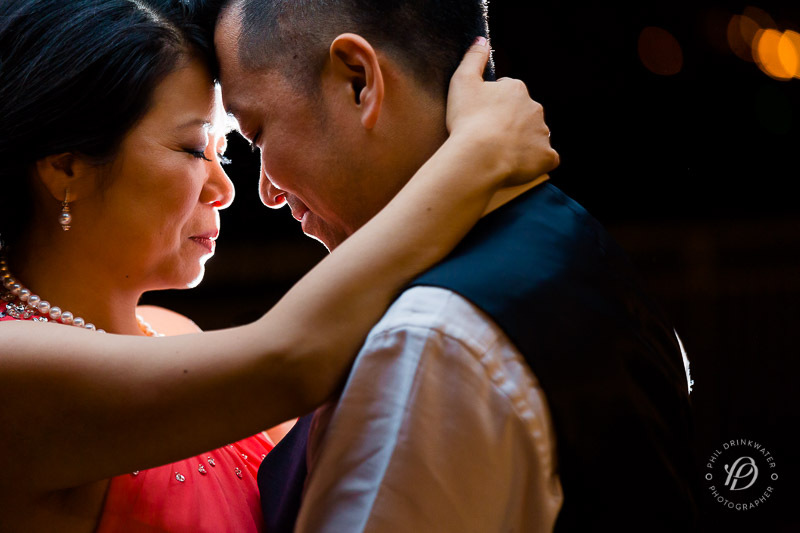 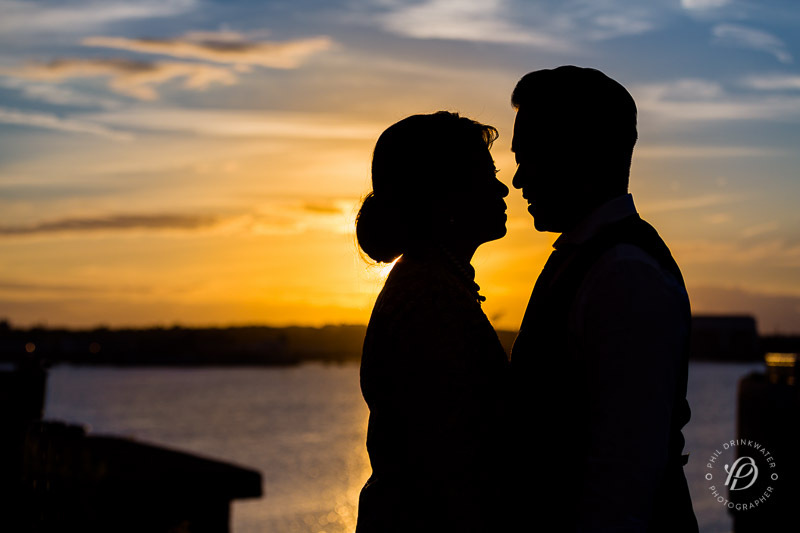 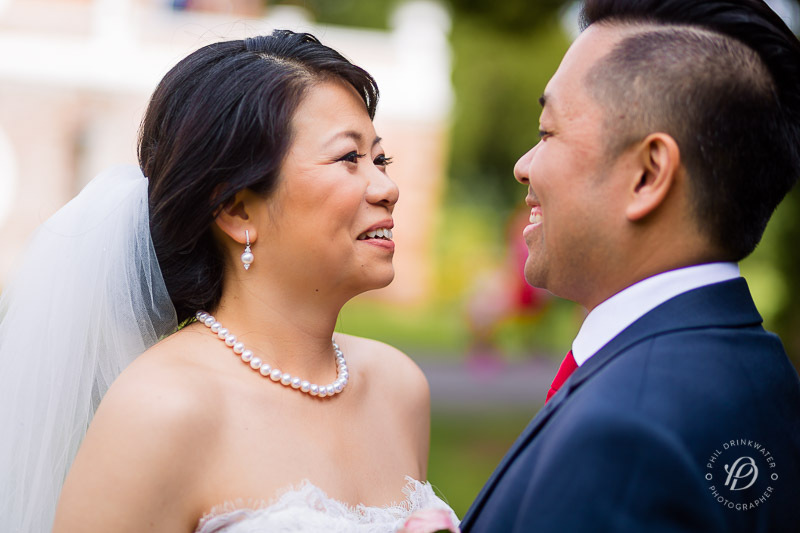 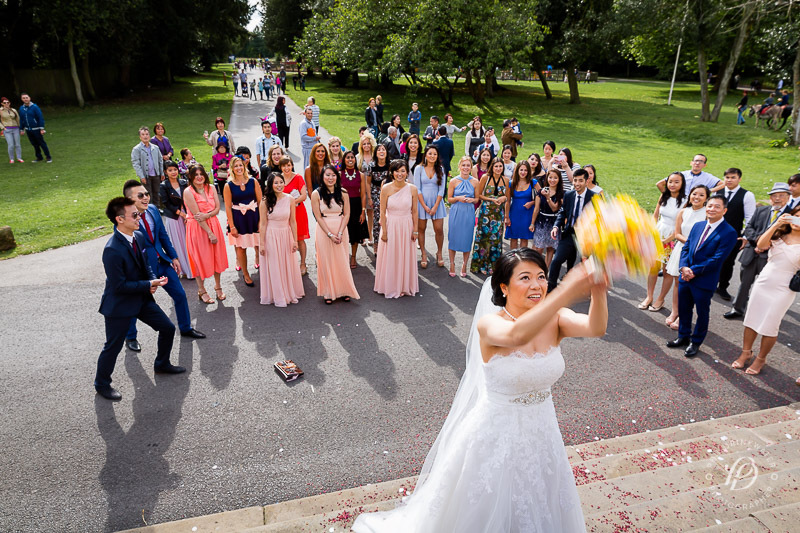 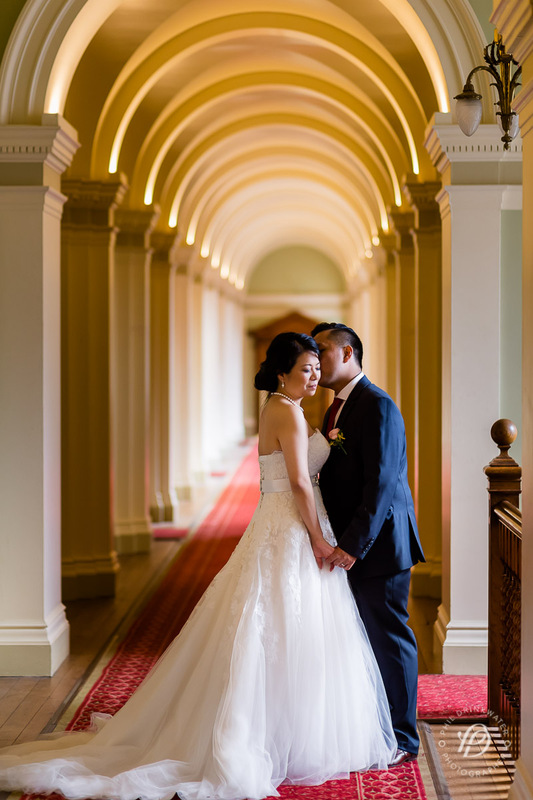 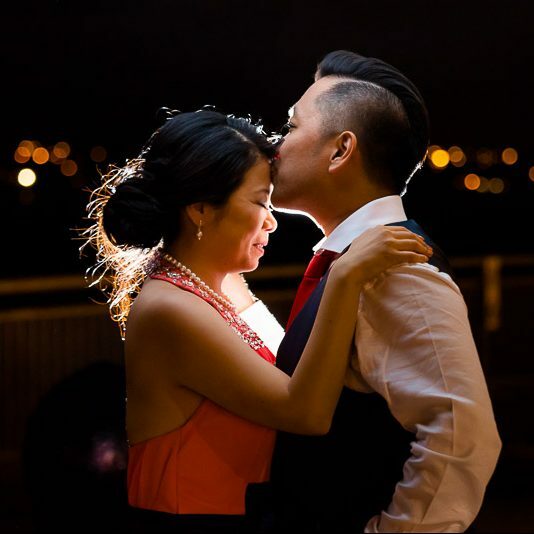 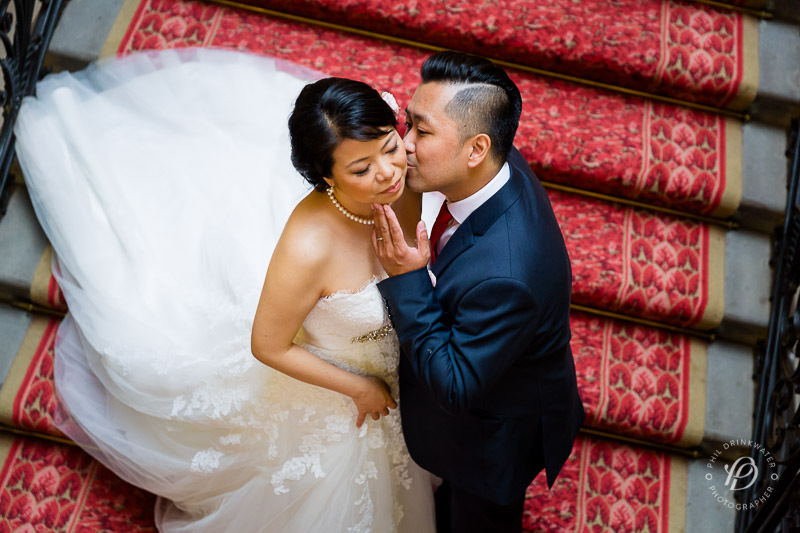 Terri & David chose the stunning Croxteth Hall and delicious Chung Ku restaurant in Liverpool for their Chinese wedding celebration. 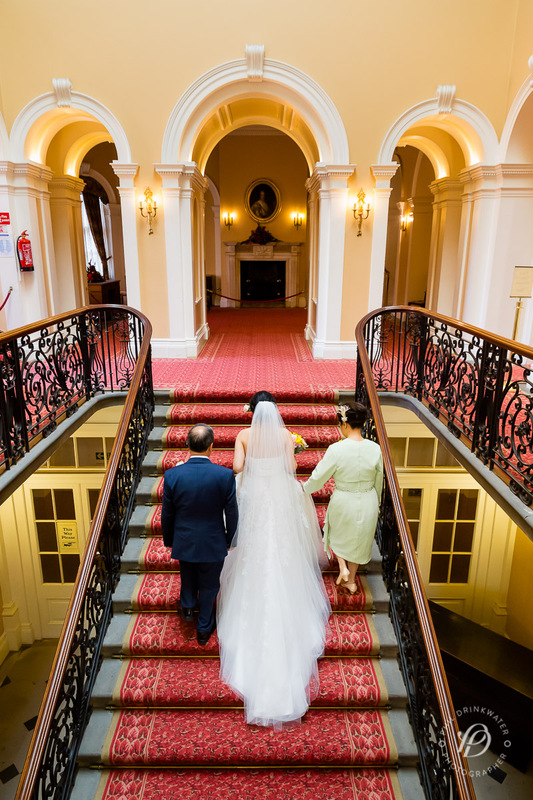 It was awash with fantastic games, beautiful halls and tradition. 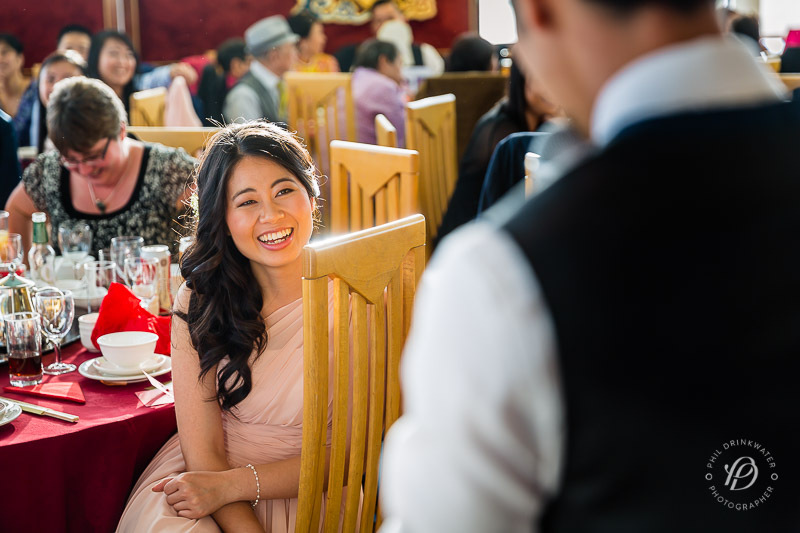 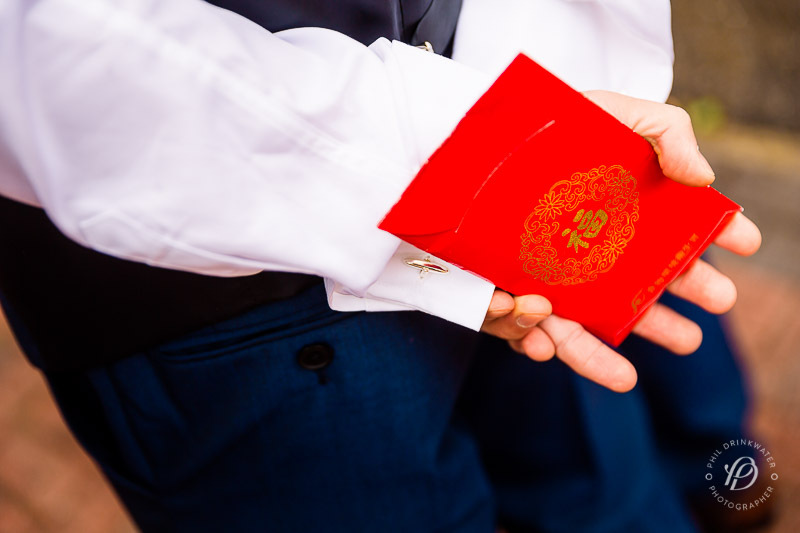 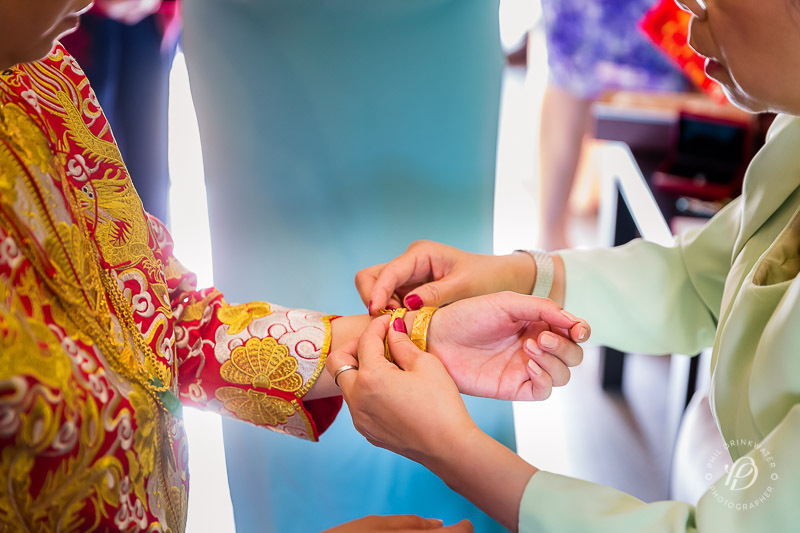 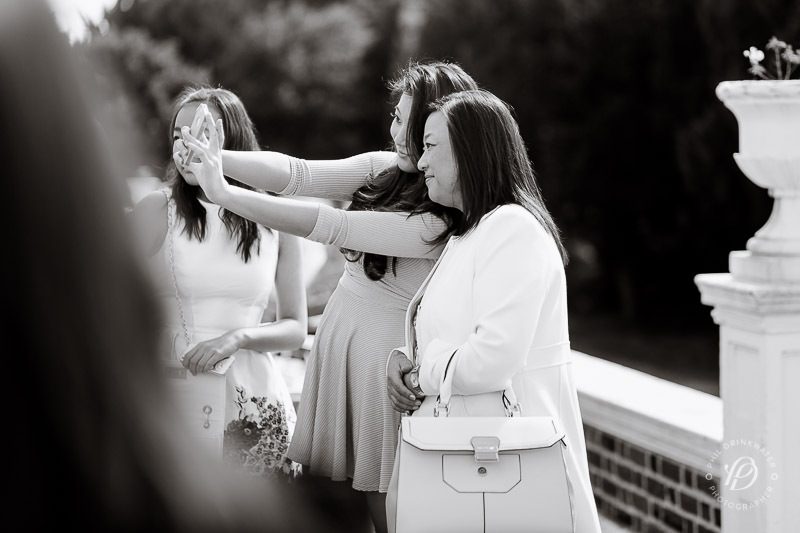 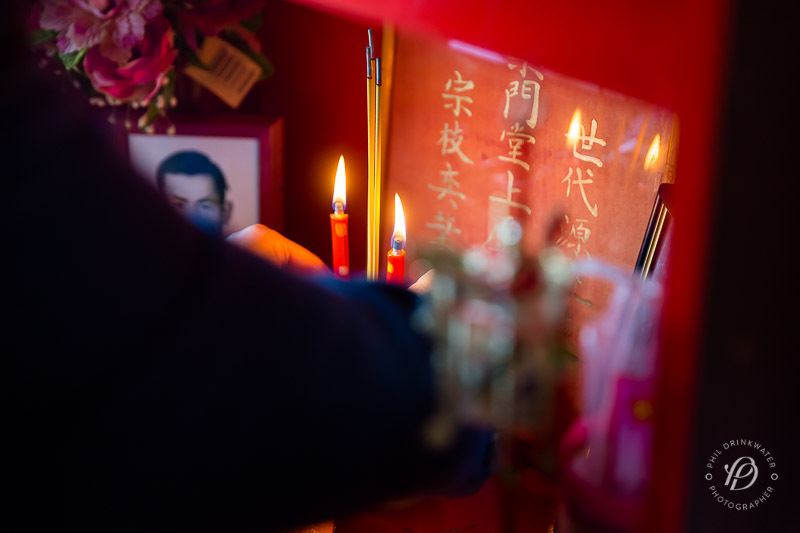 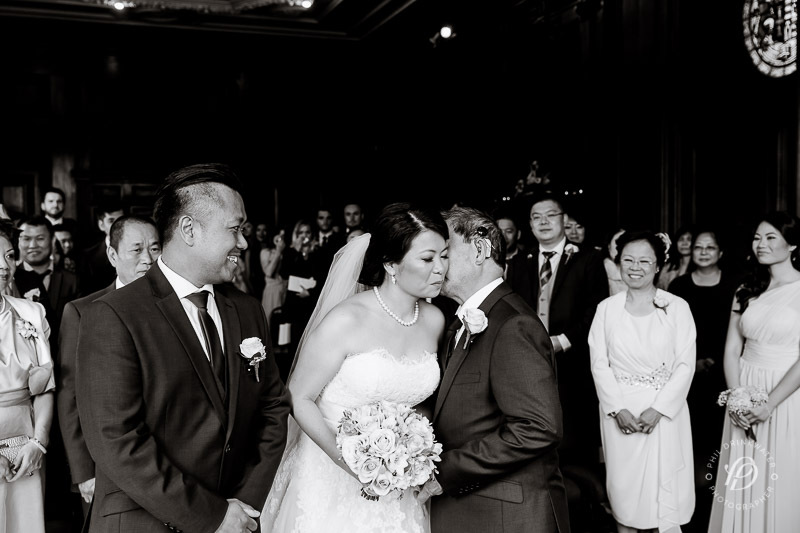 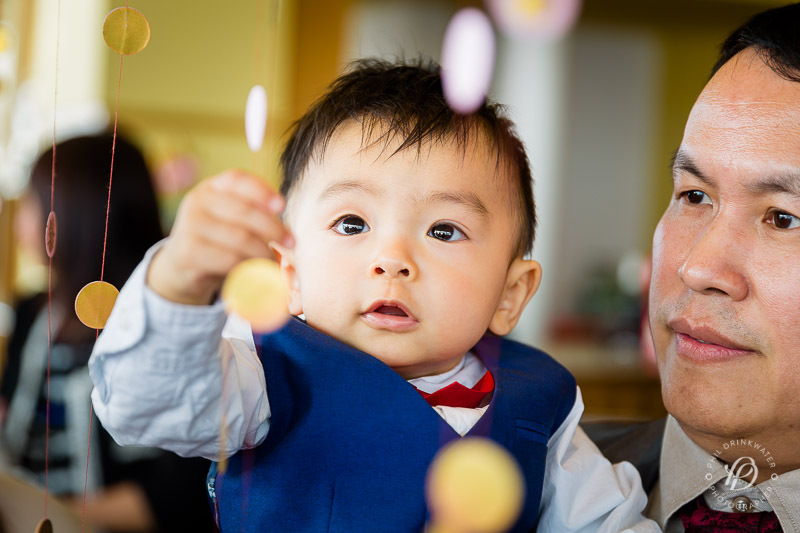 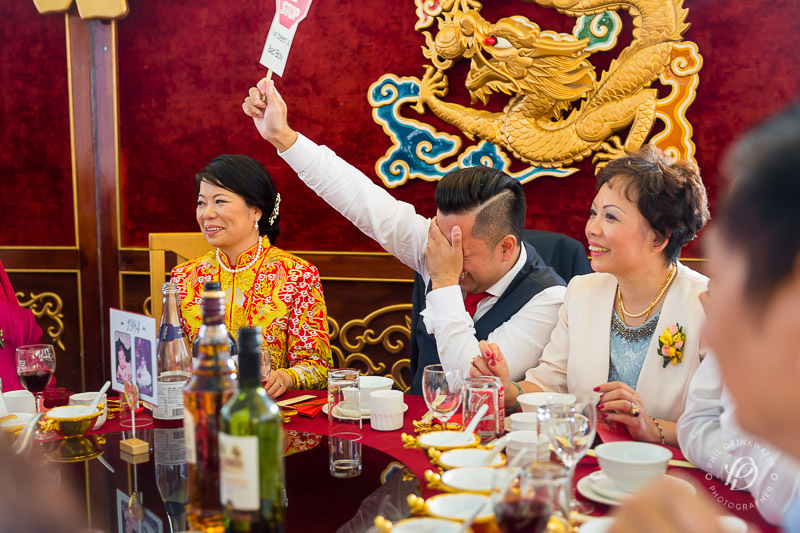 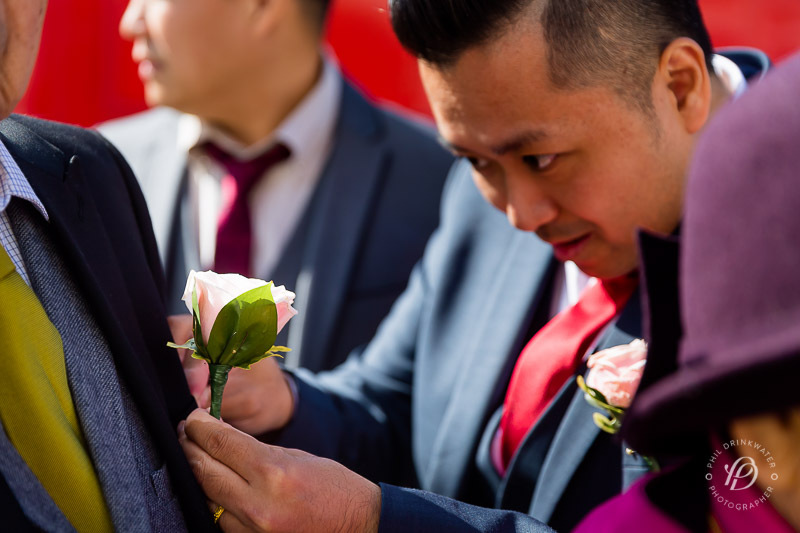 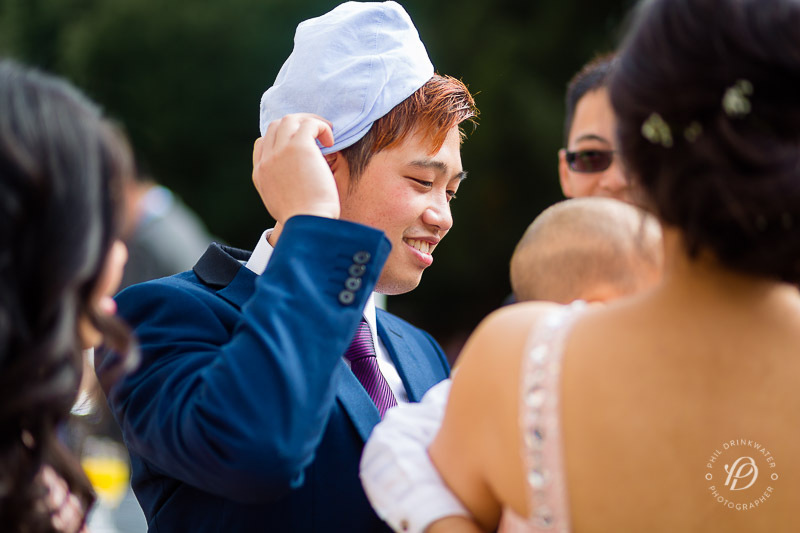 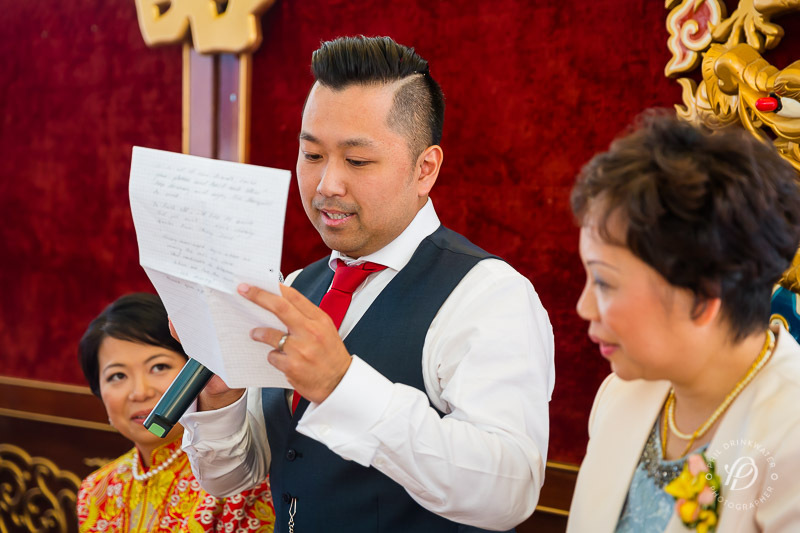 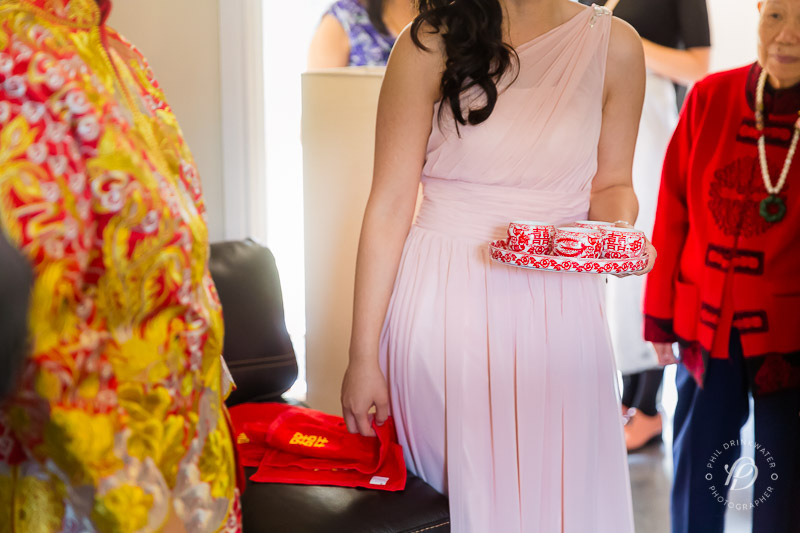 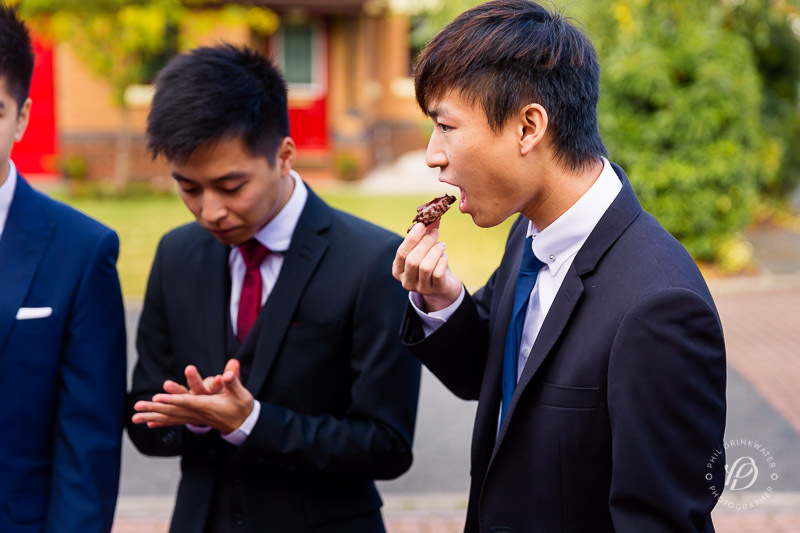 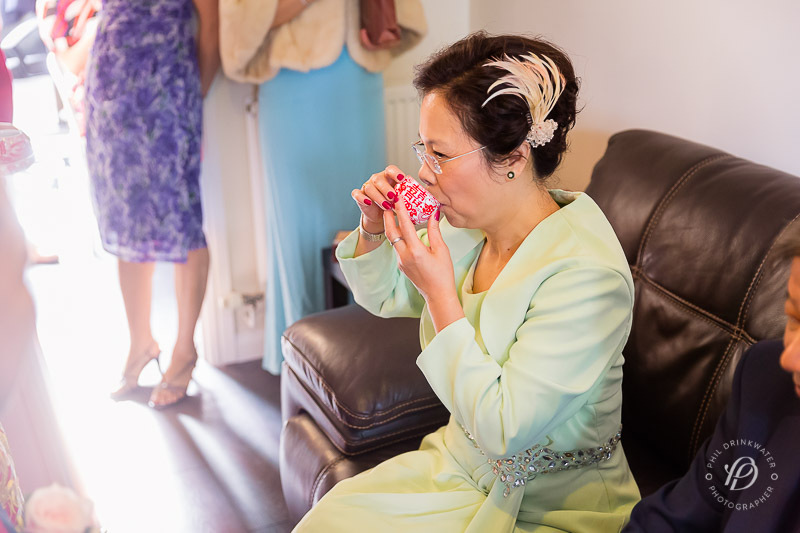 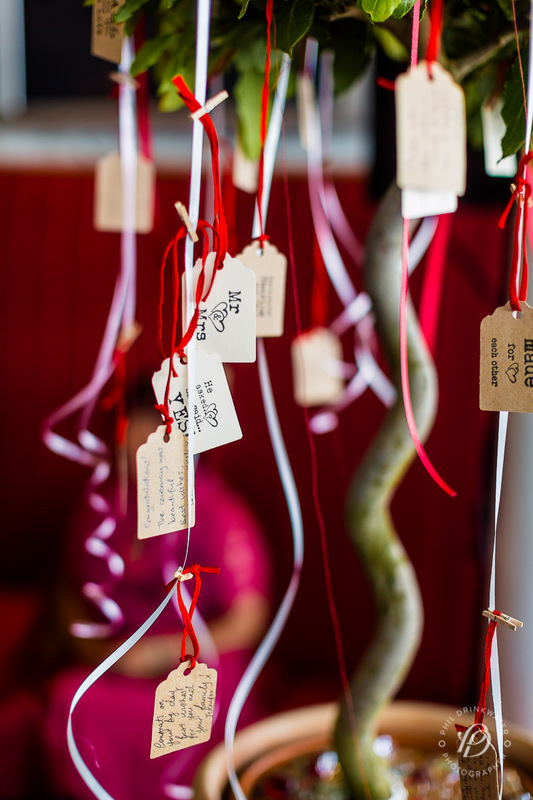 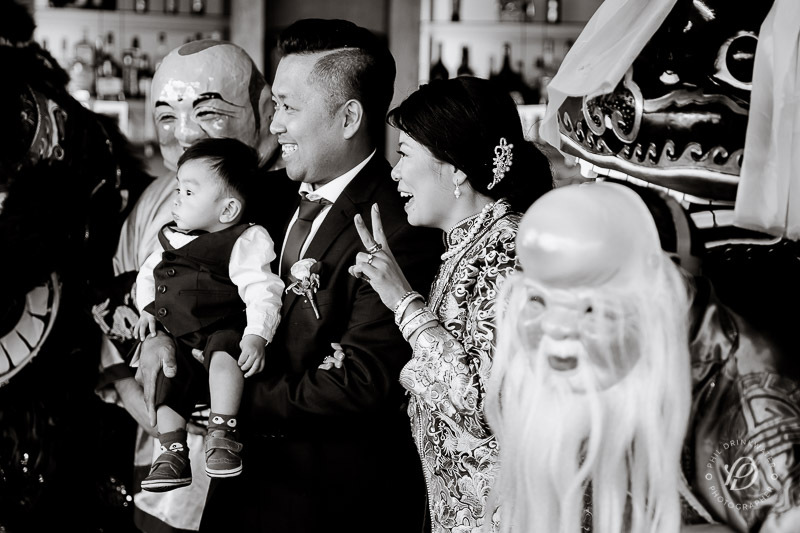 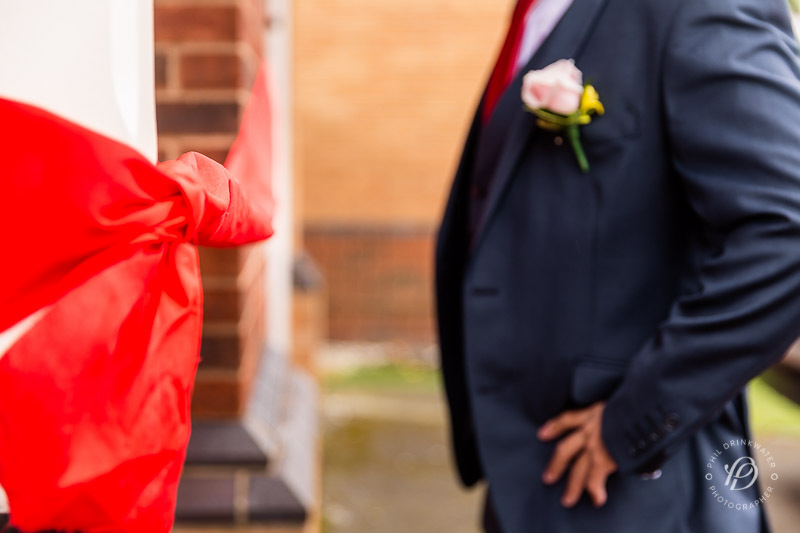 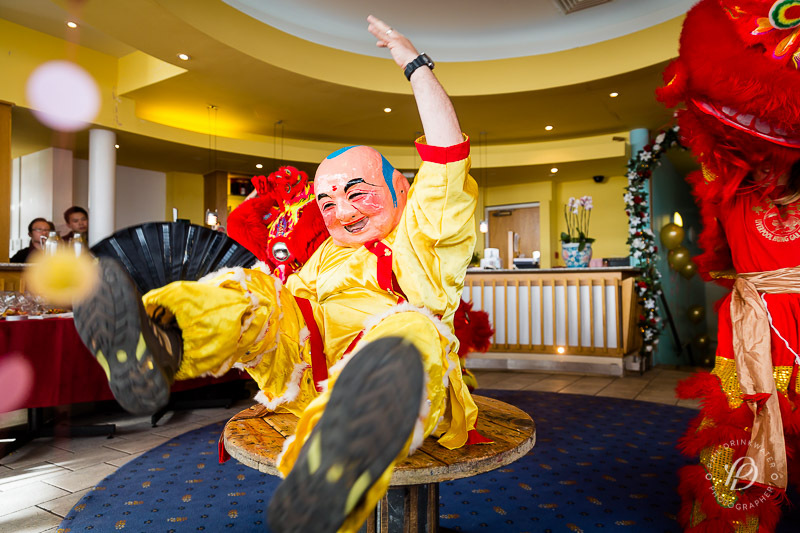 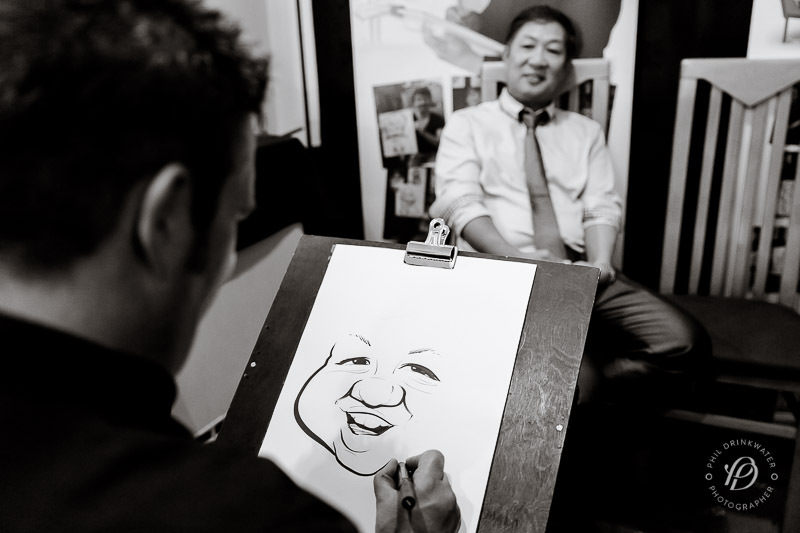 I’ve photographed a few Chinese weddings around Manchester, Cheshire and Lancashire so I was aware of the typical customs, such as the tea ceremony and the door games. 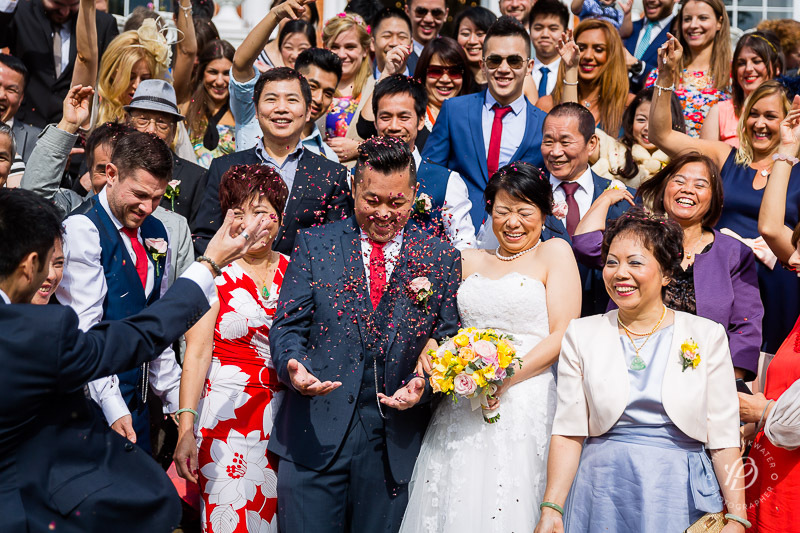 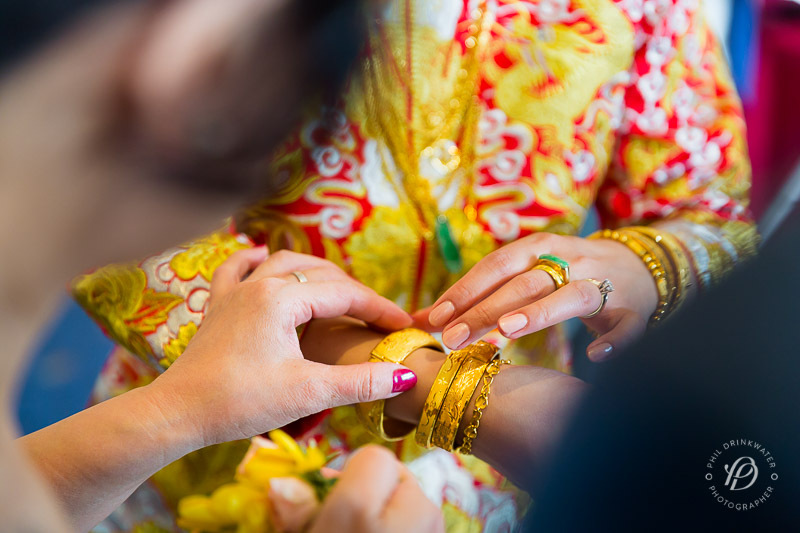 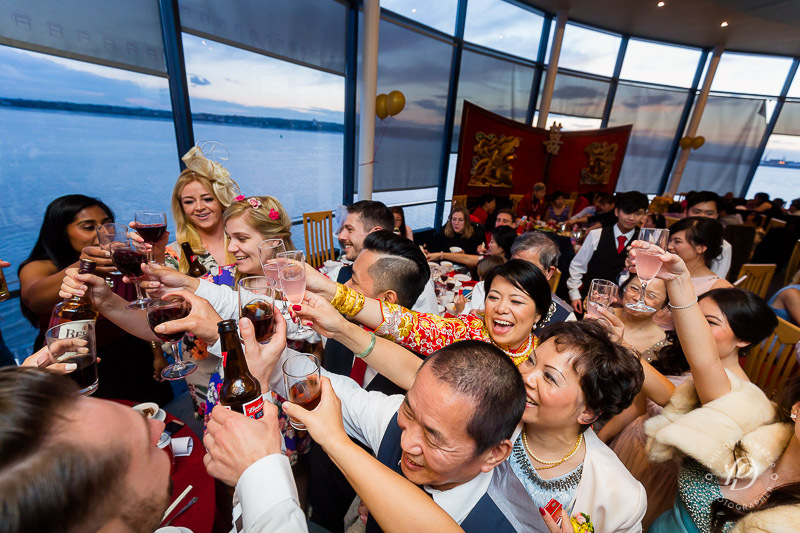 I love to see how different cultures celebrate marriage. 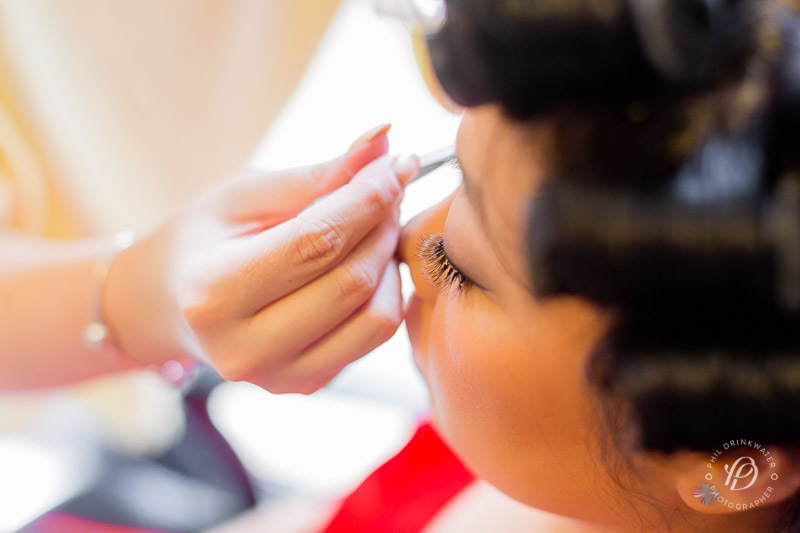 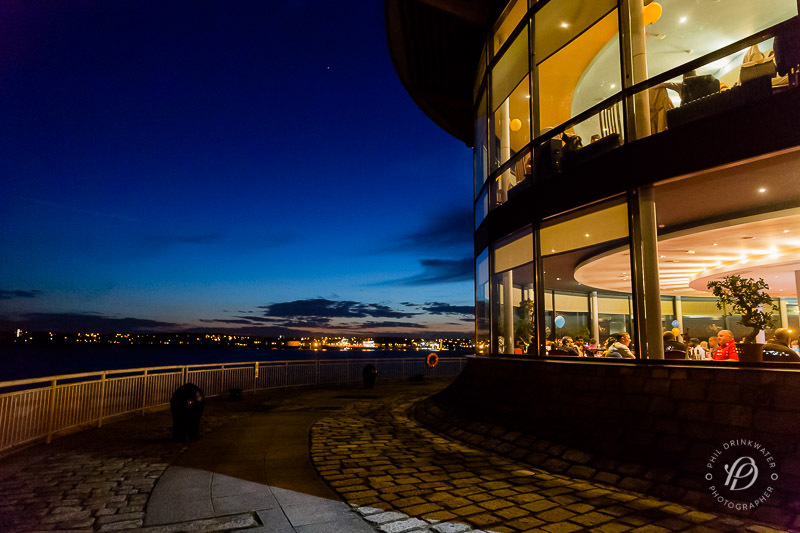 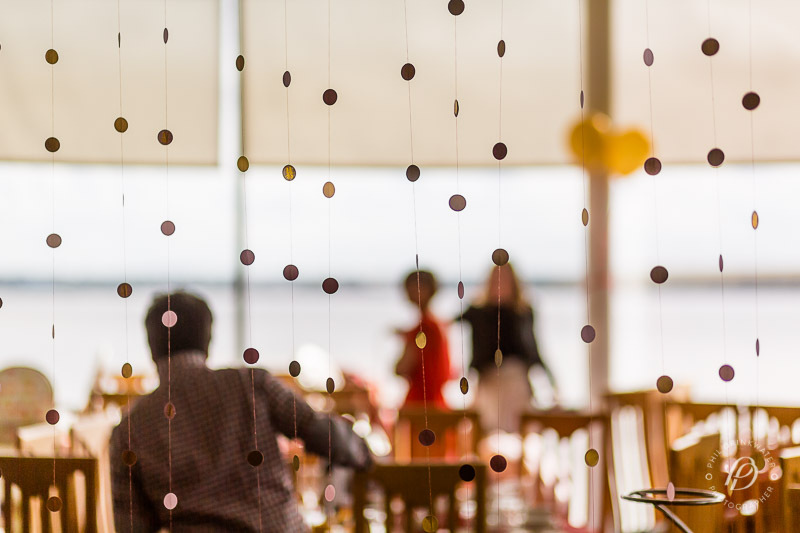 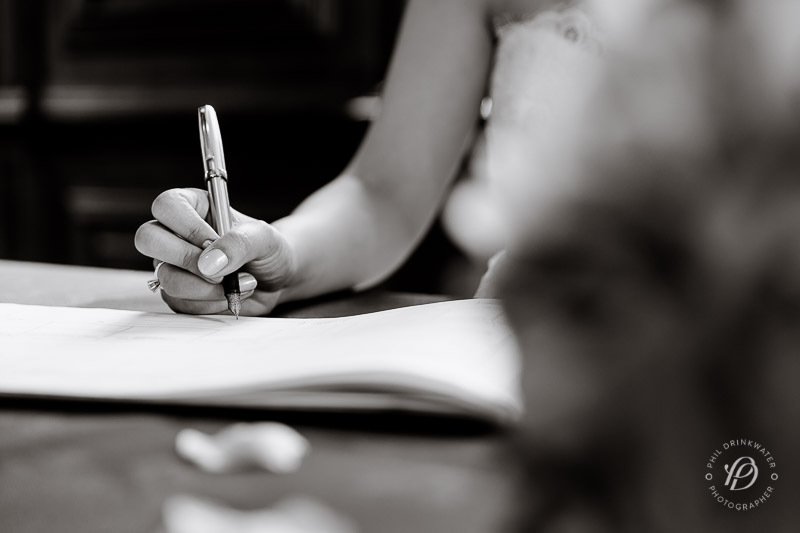 Terri began by preparing with a houseful of guests. 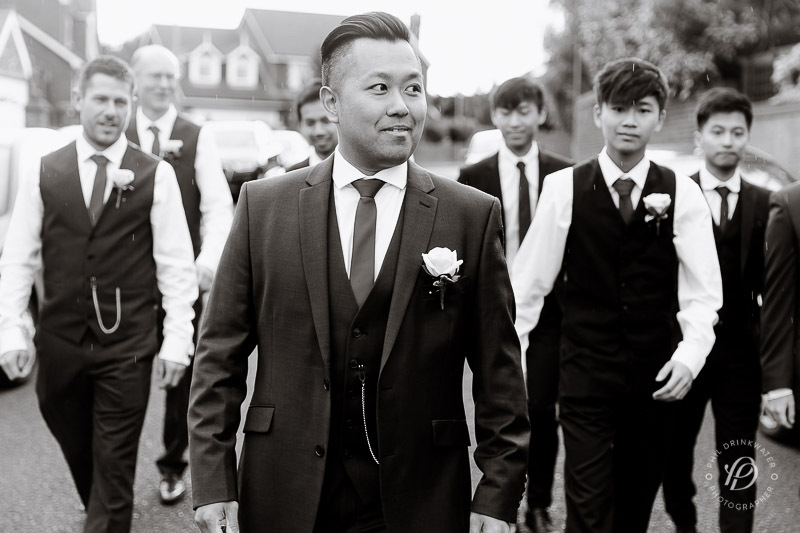 Before long, David arrived with the groomsmen, looking tough and ready to roll. 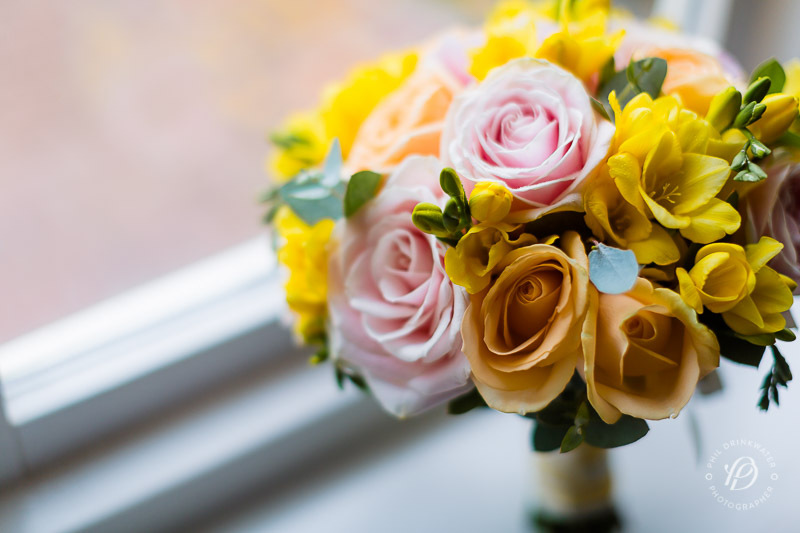 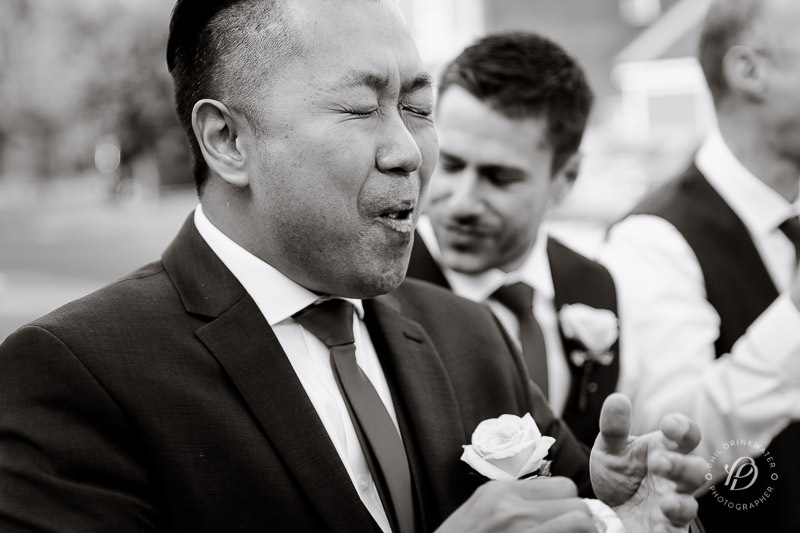 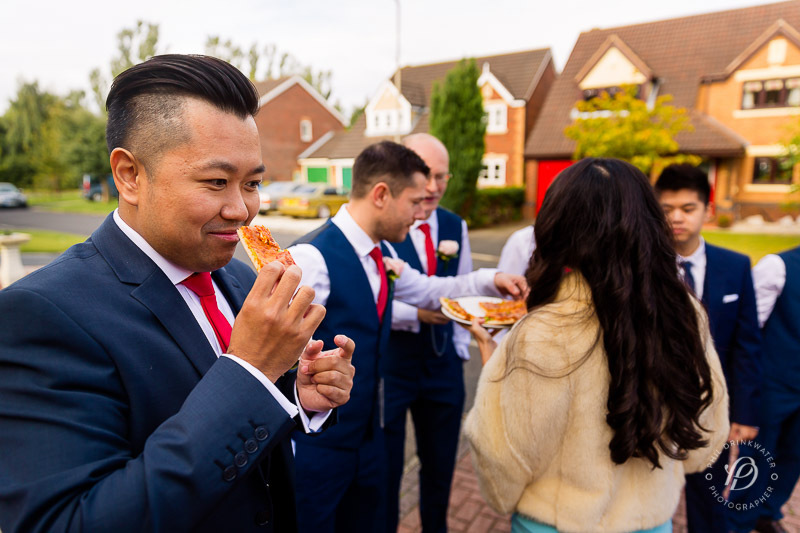 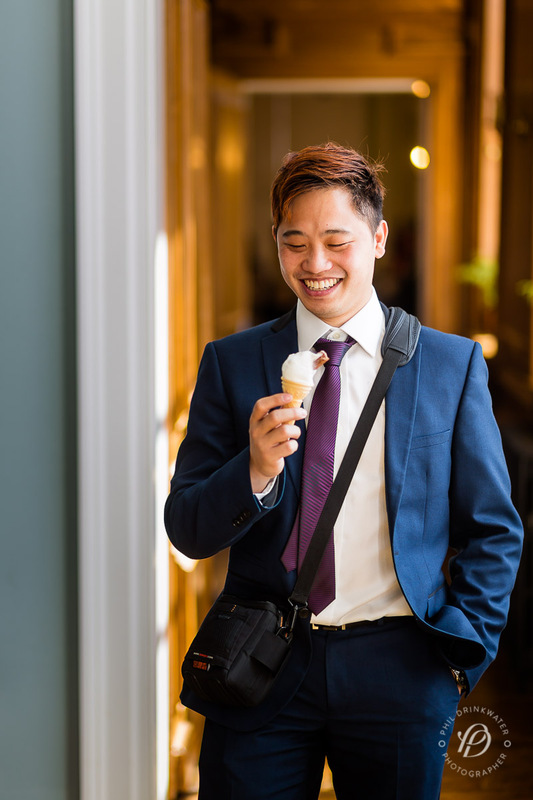 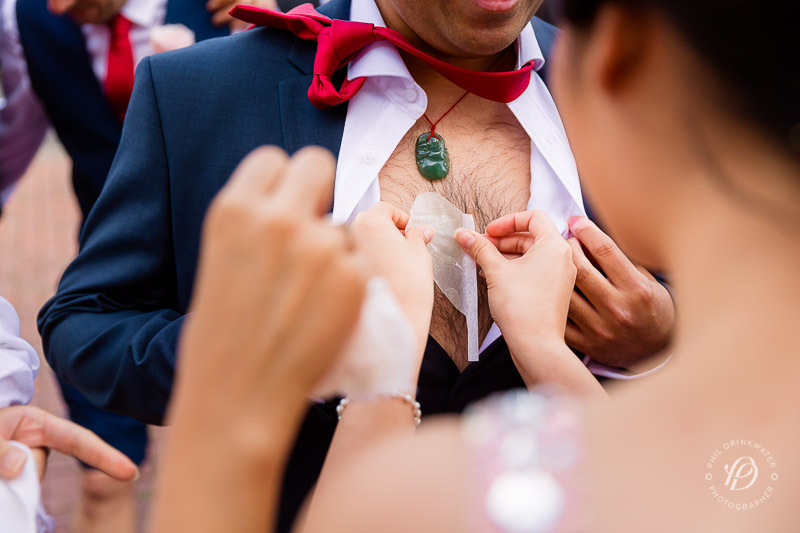 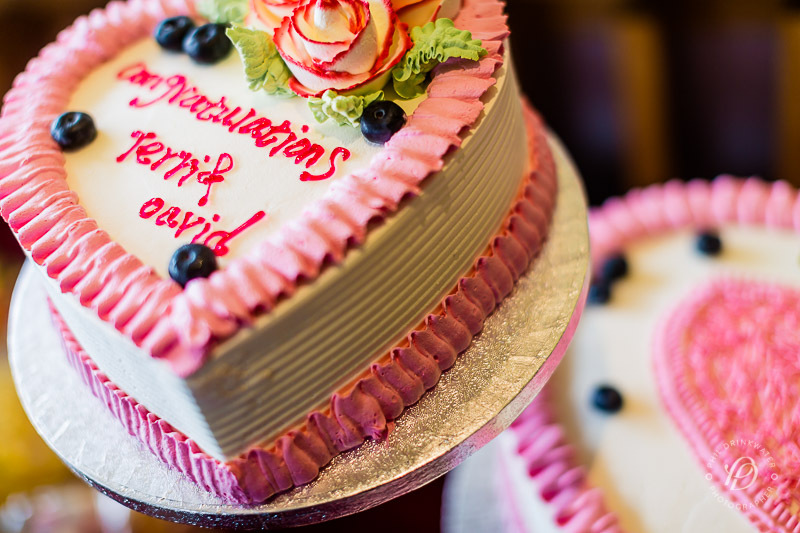 The bridesmaids’ imagination had been fantastic – David and the guys had to suffer a gruelling chest and leg waxing, hot wasabi pizza, dubious jelly beans and finally a serenading of the bride – with a song none of them knew! 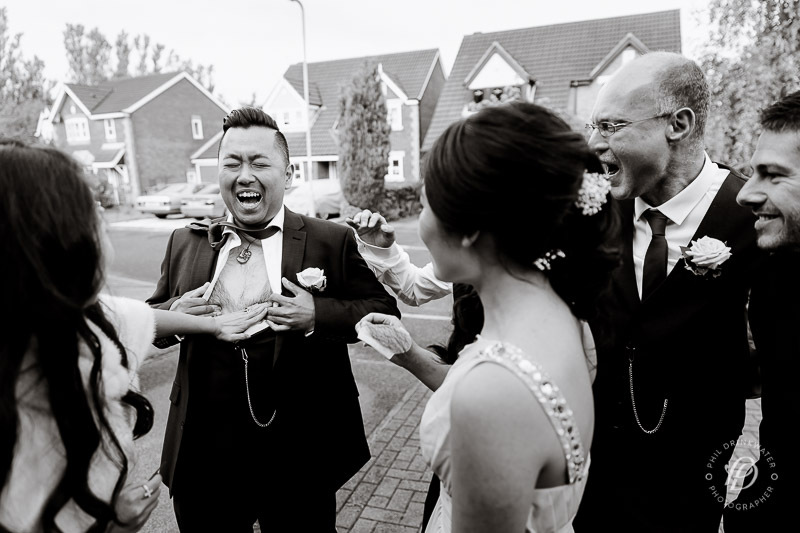 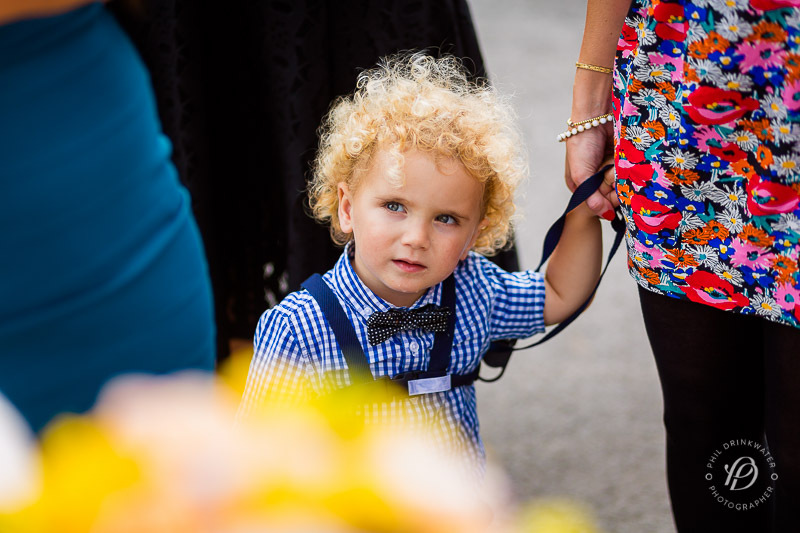 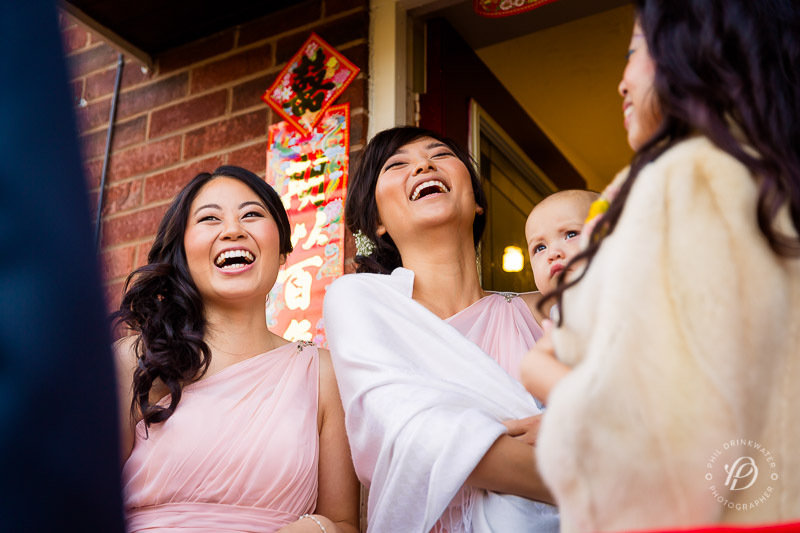 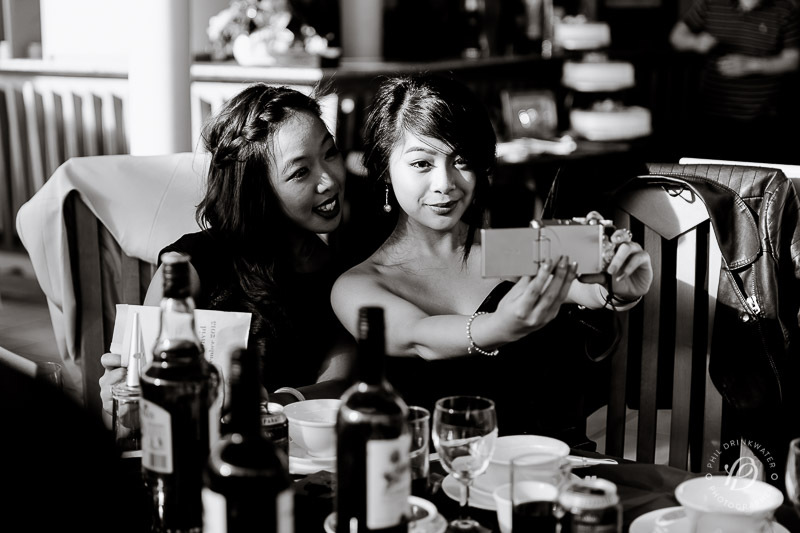 I used my reportage photography skills to capture the moments as they happened and laughed along at the proceedings. 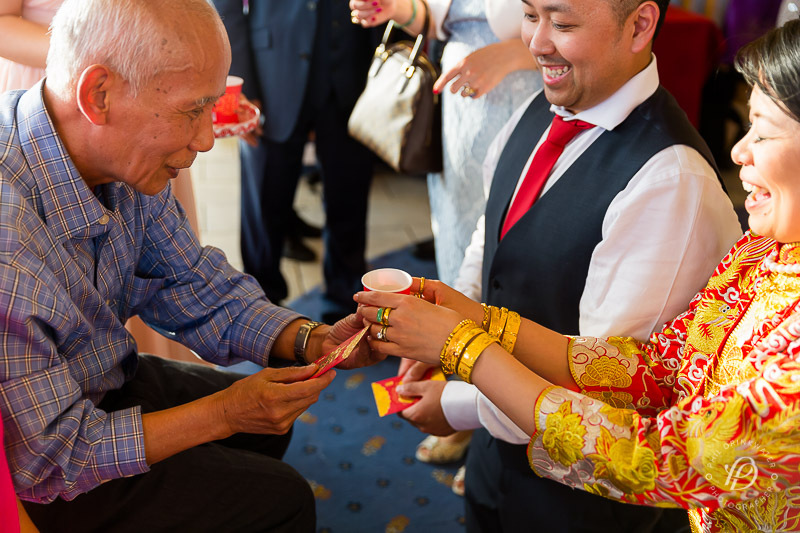 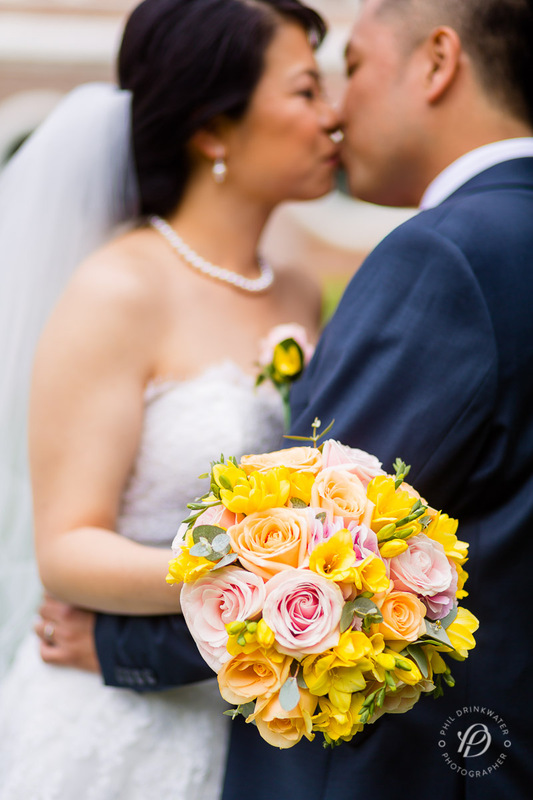 Finally together as a couple, there was a short tea ceremony. 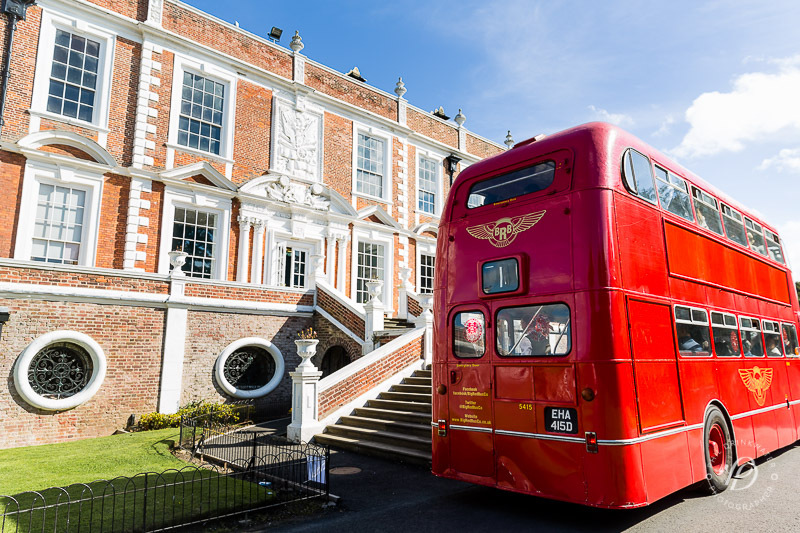 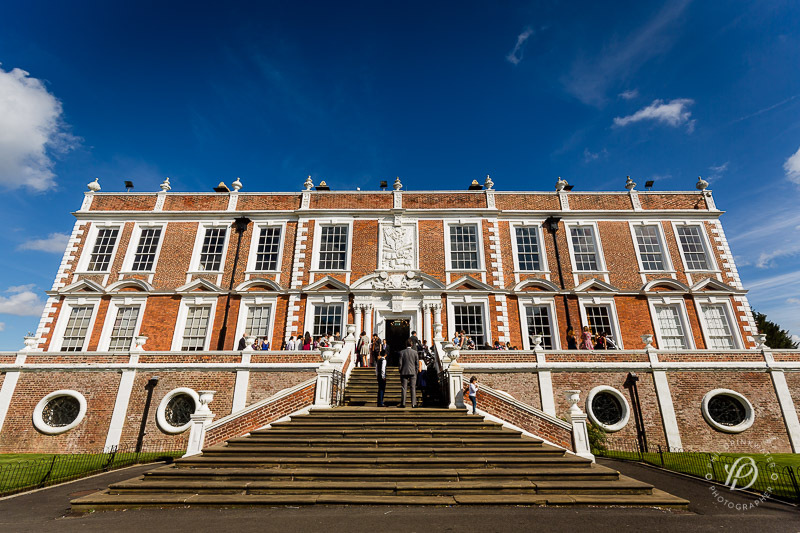 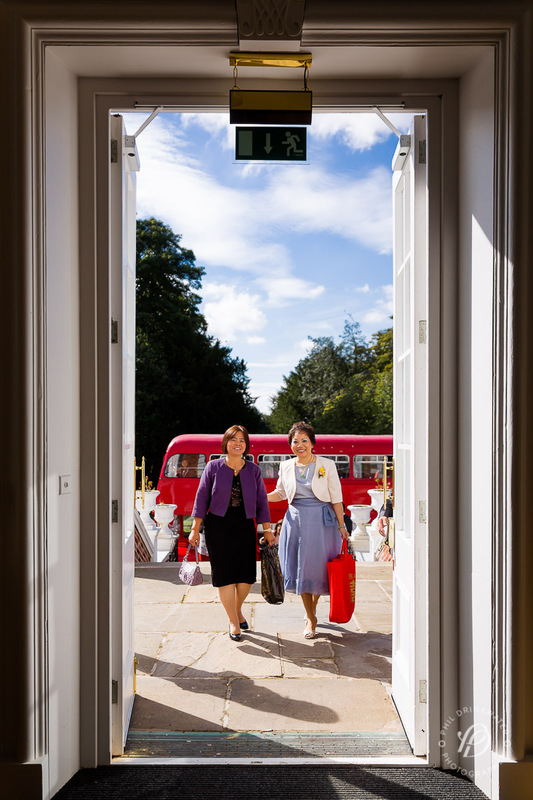 They had hired a fantastic double decker bus to take everyone to Croxteth Hall, which allowed them to reacquaint themselves with friends and family. 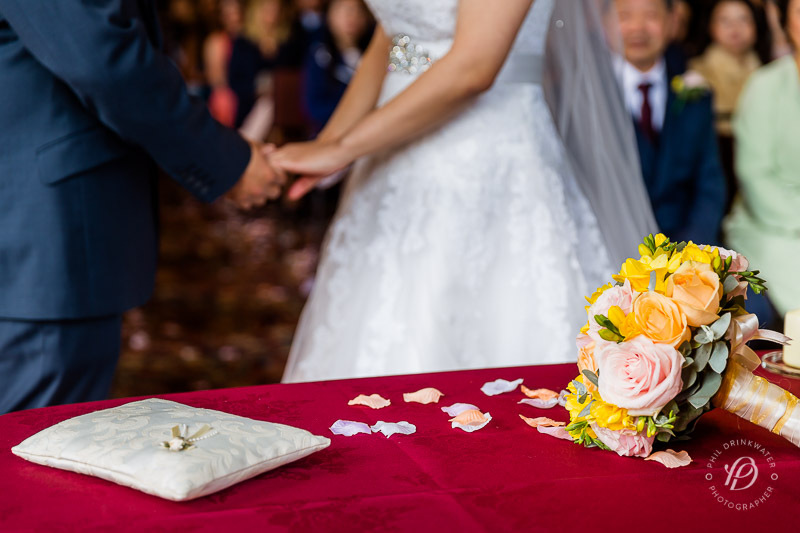 Soon the official duties of ring exchange and register signing and traditional first kiss were finished and they were man and wife. 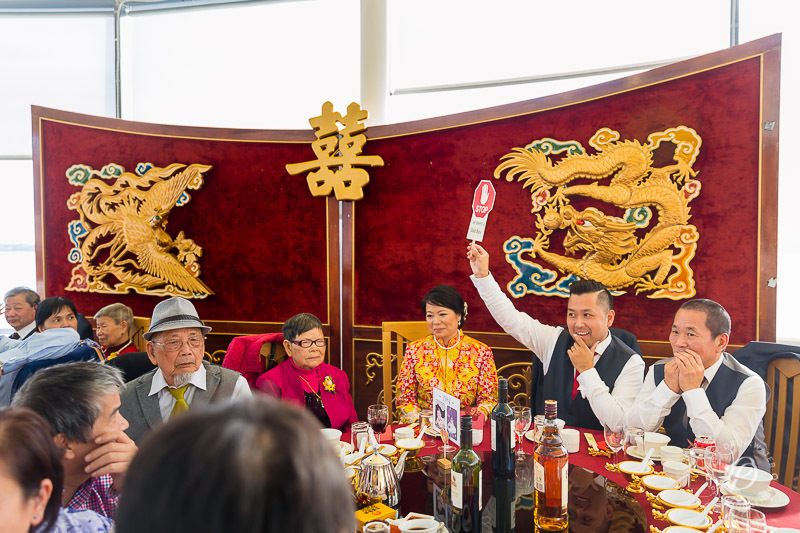 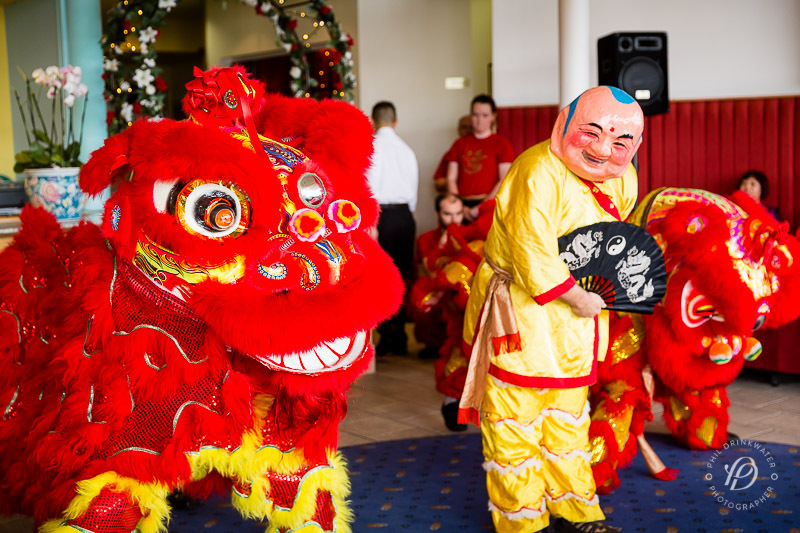 They took the short journey to Chung Ku restaurant and chatted with their guests before a traditional dragon show to wow the guests. 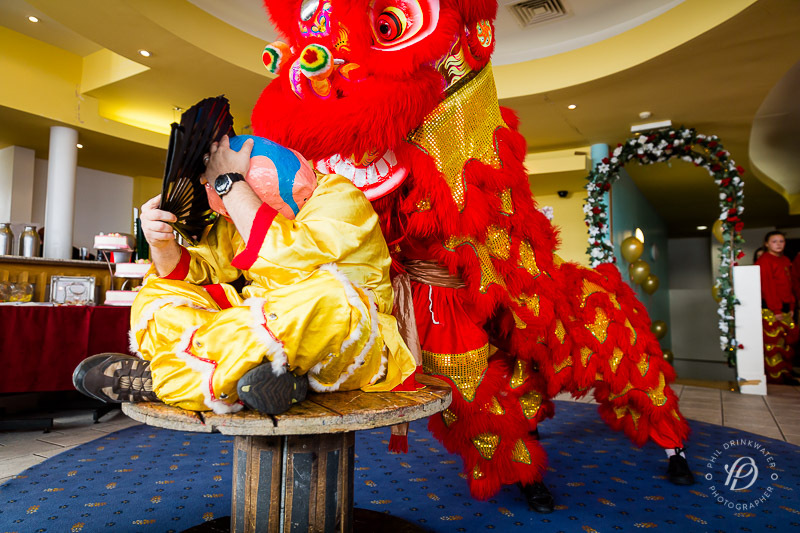 Some of the guys were seen sneaking selfies with the dragon. 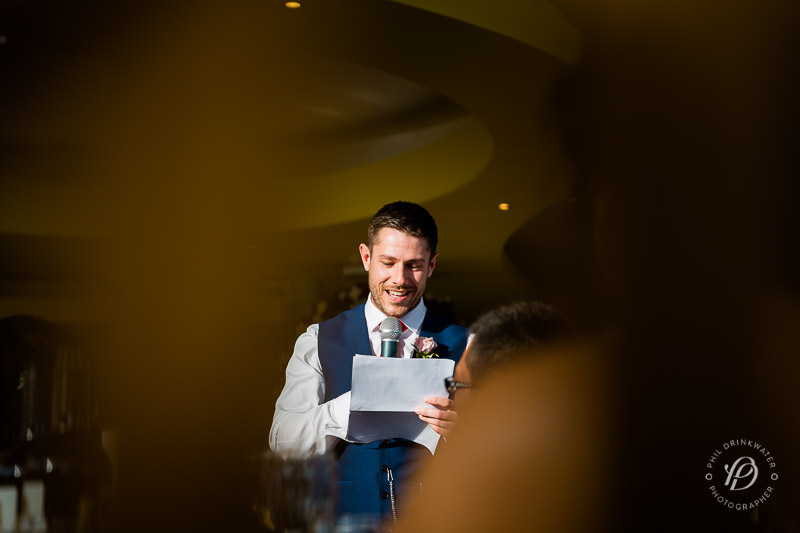 As the sun dropped, the speeches started. 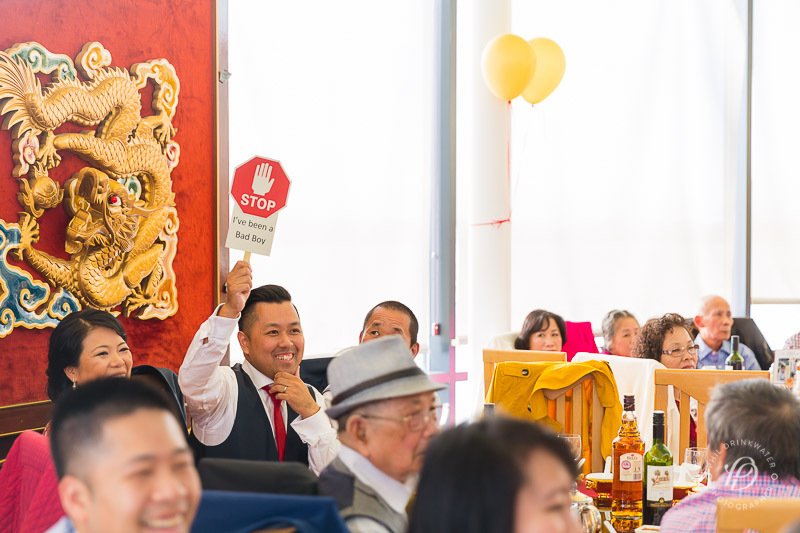 David was given a unique “Stop I’ve been a bad boy” sign which has could use in theory to avoid the upcoming story … but the groomsmen carried on anyway! 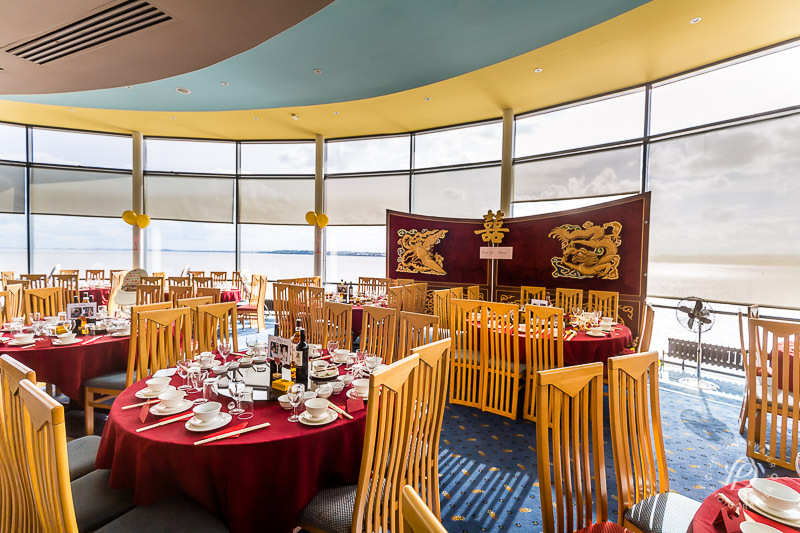 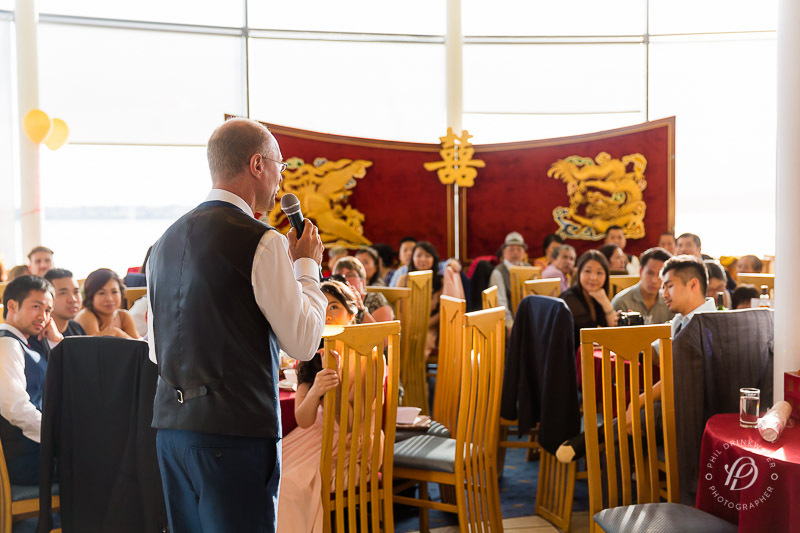 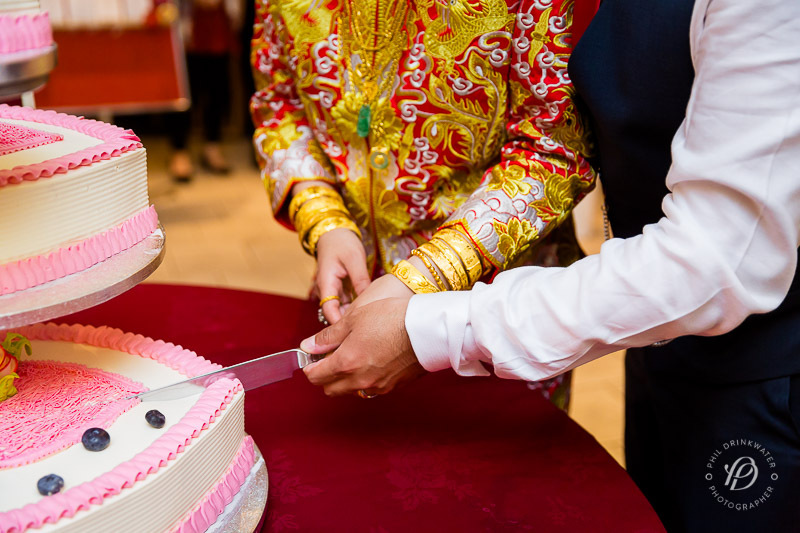 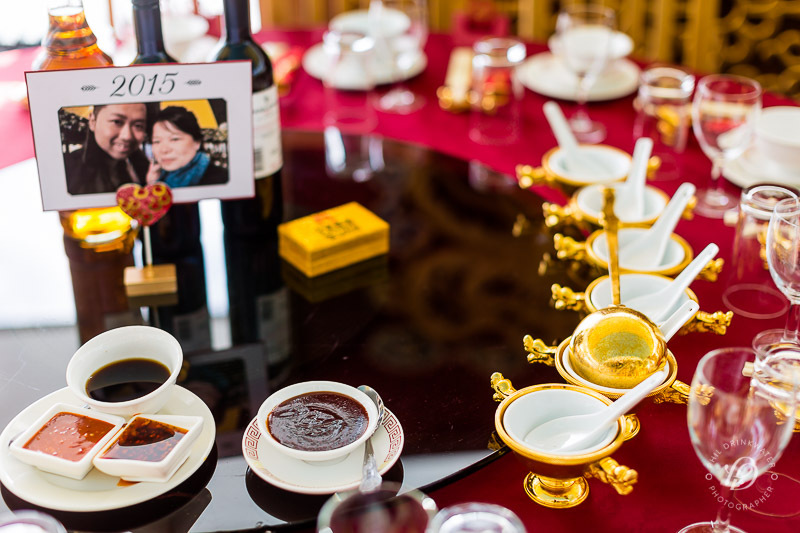 After the meal, there were toasts with each table, cutting of the wedding cake and an emotional goodbye to friends and family who had joined them for their fantastic Chinese wedding. 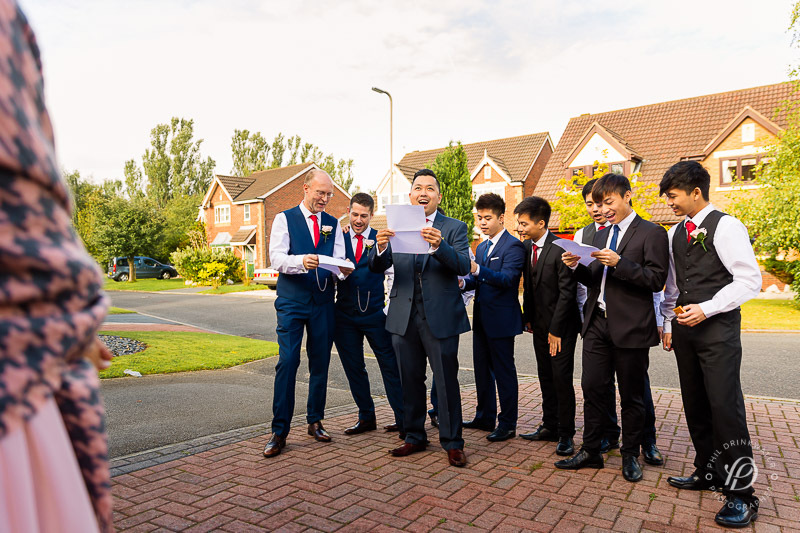 A fantastic job guys and huge congratulations!